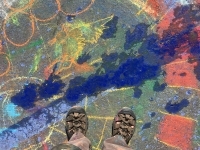 This spring has sure been wet for the Northern California area which is home for Drawing on Earth. 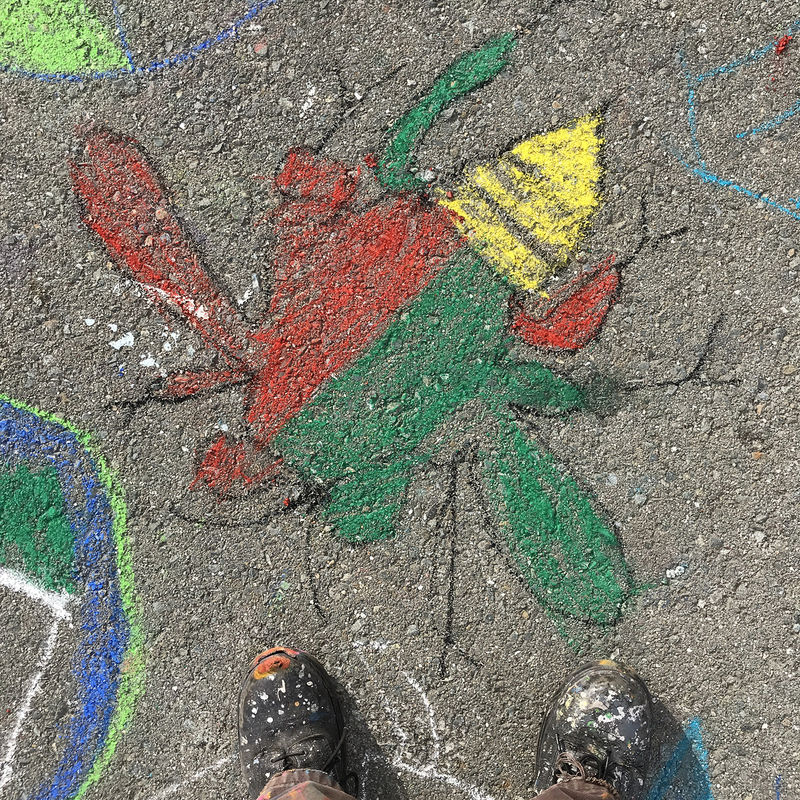 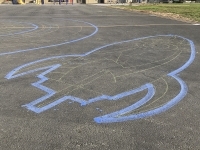 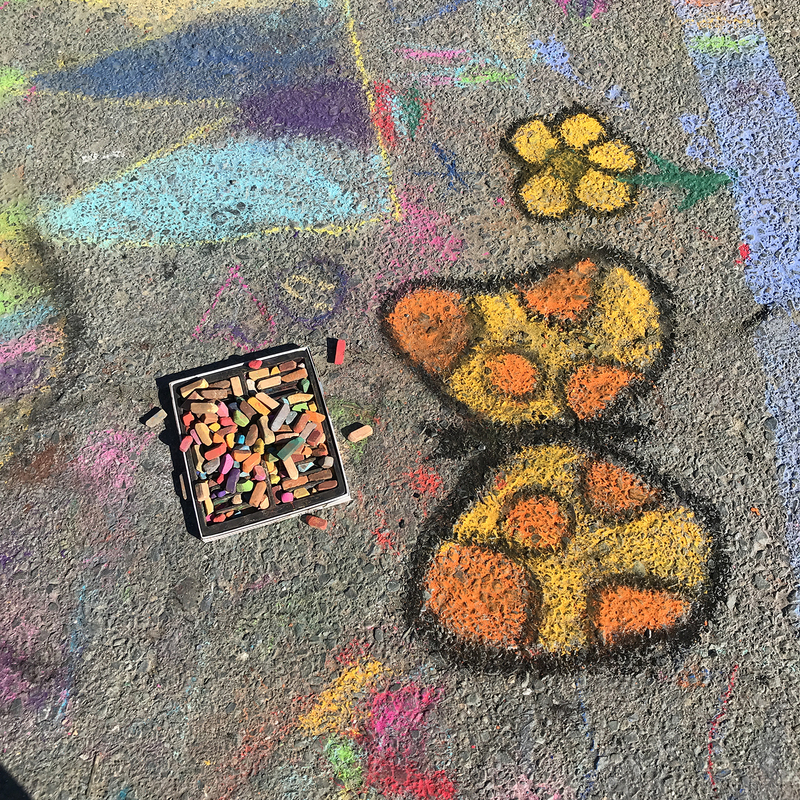 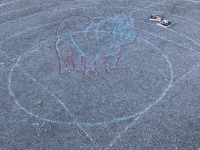 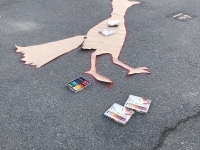 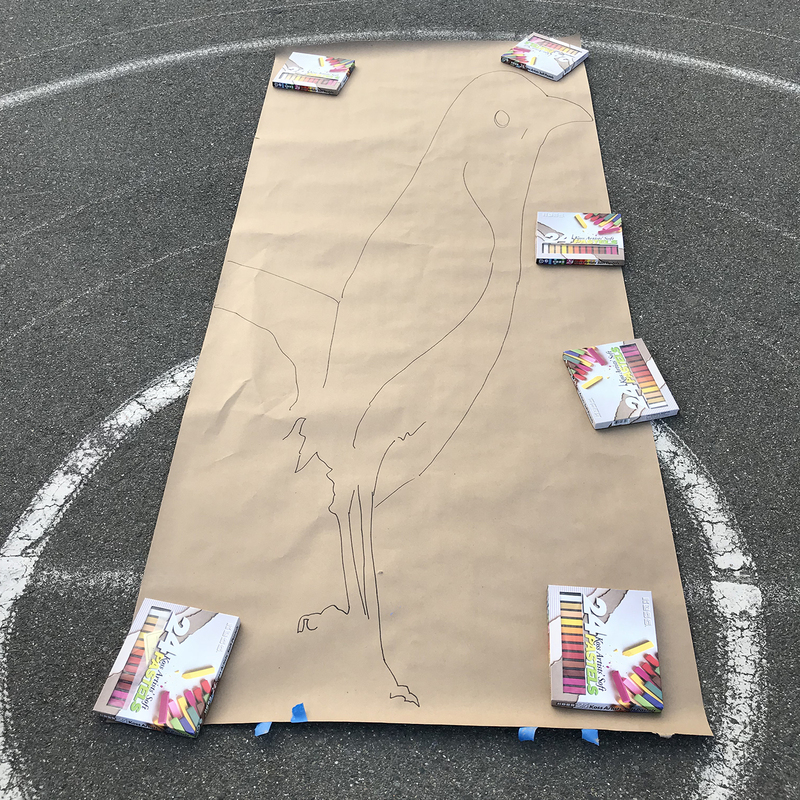 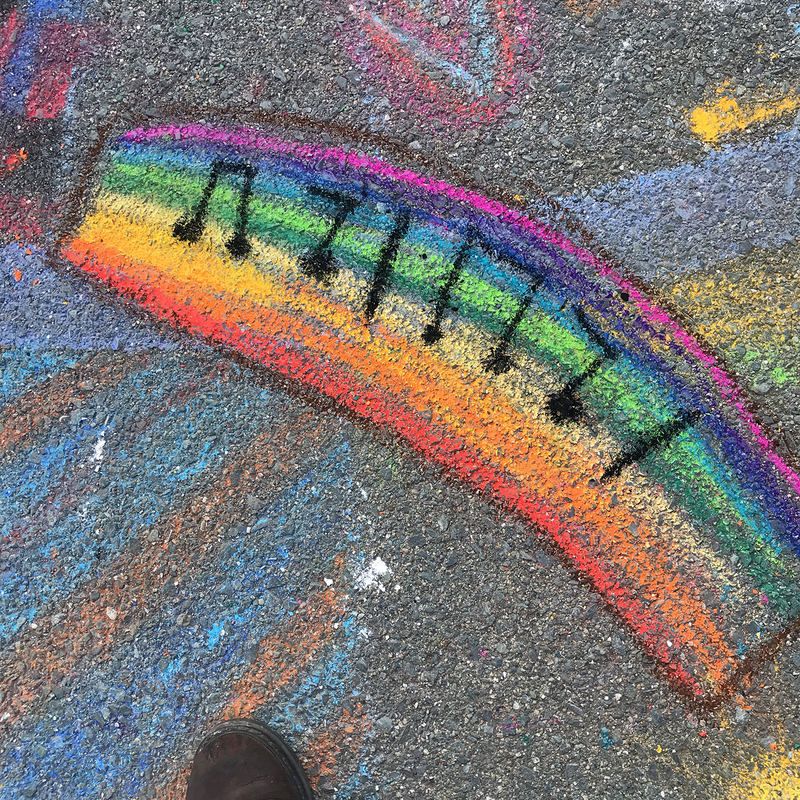 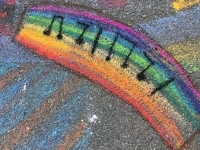 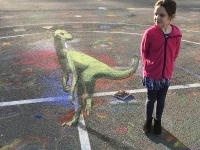 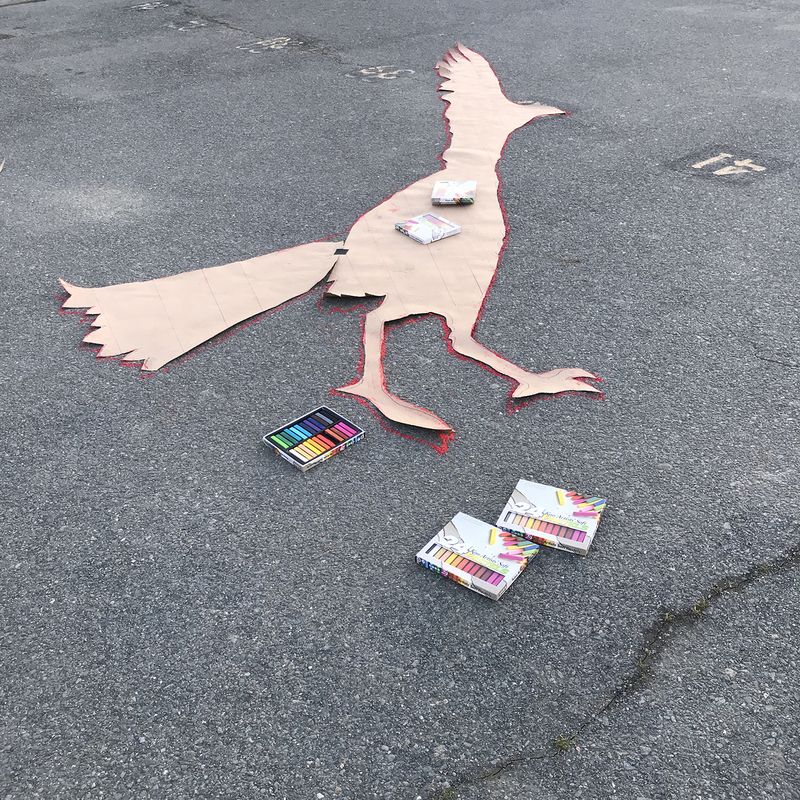 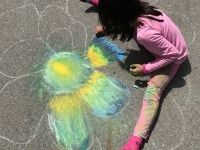 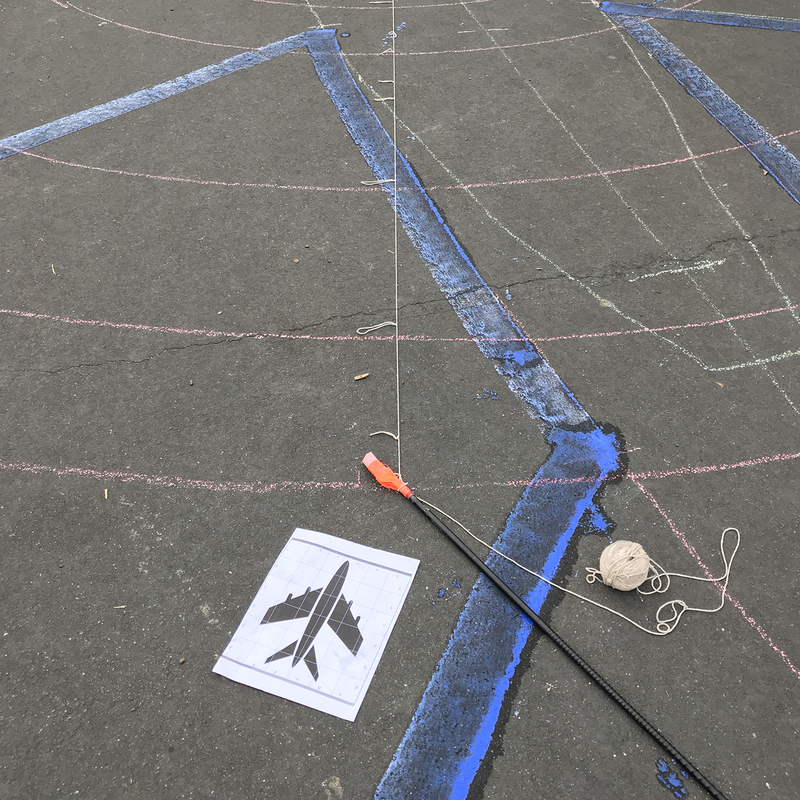 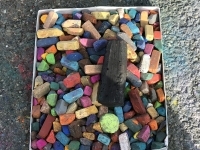 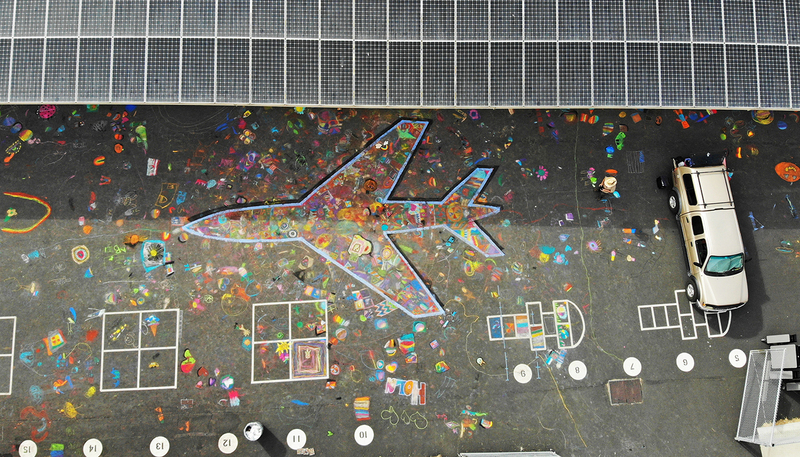 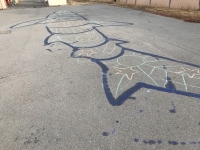 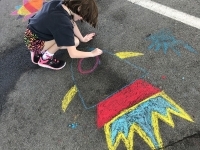 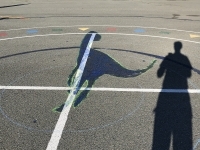 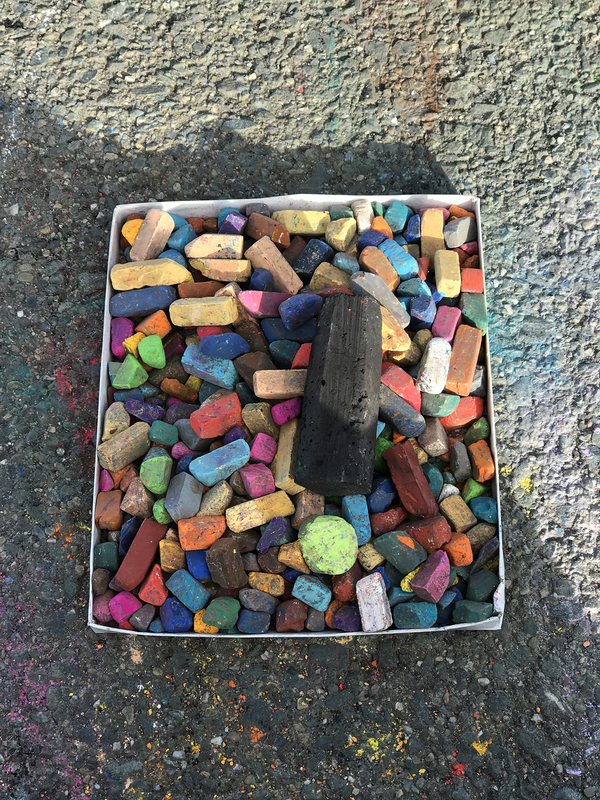 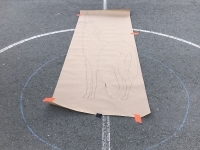 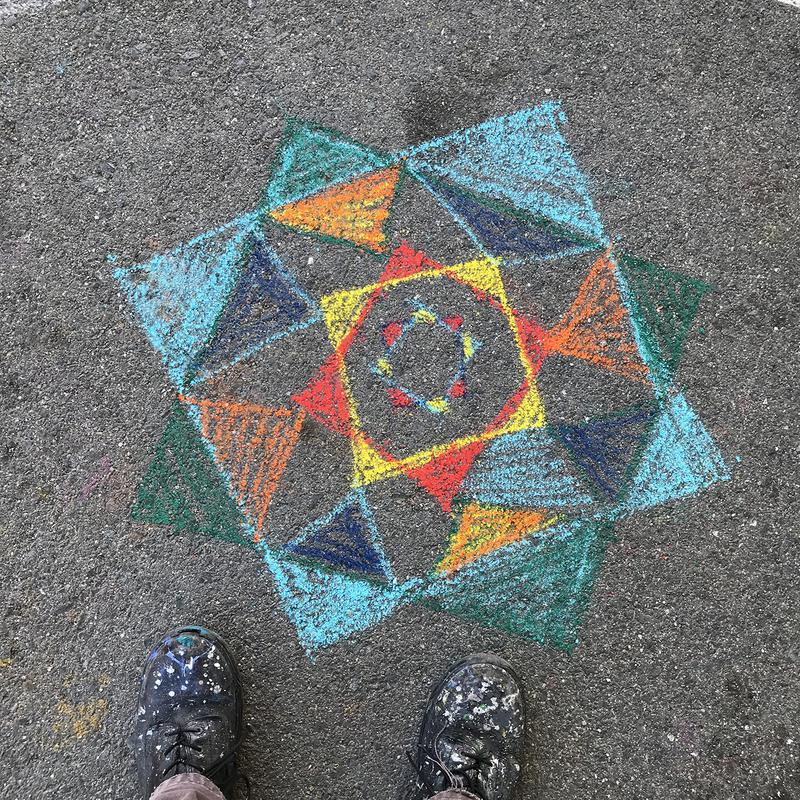 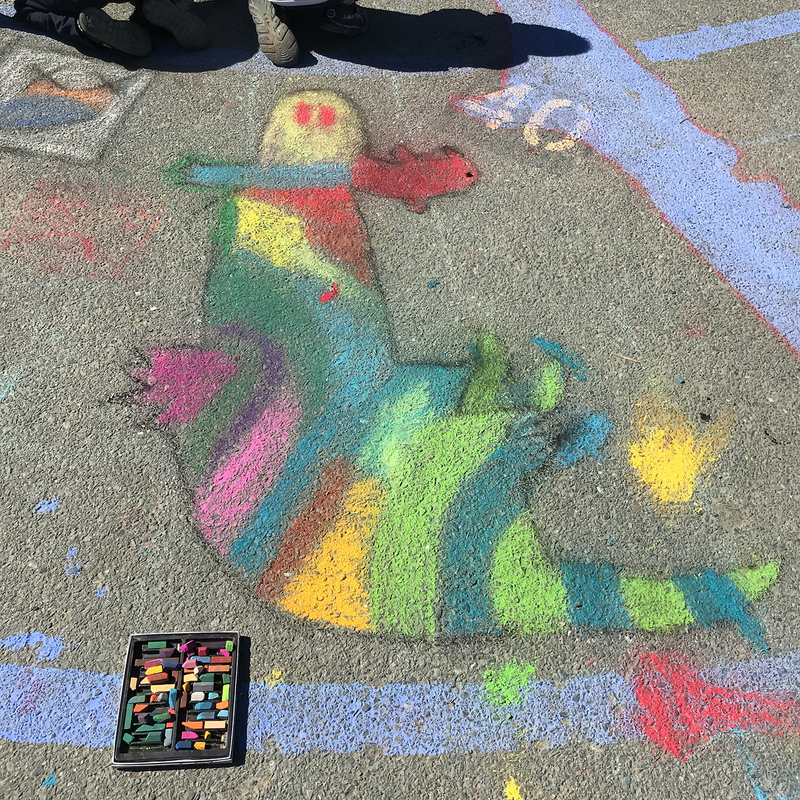 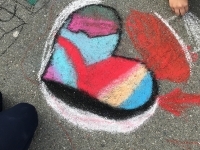 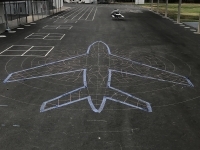 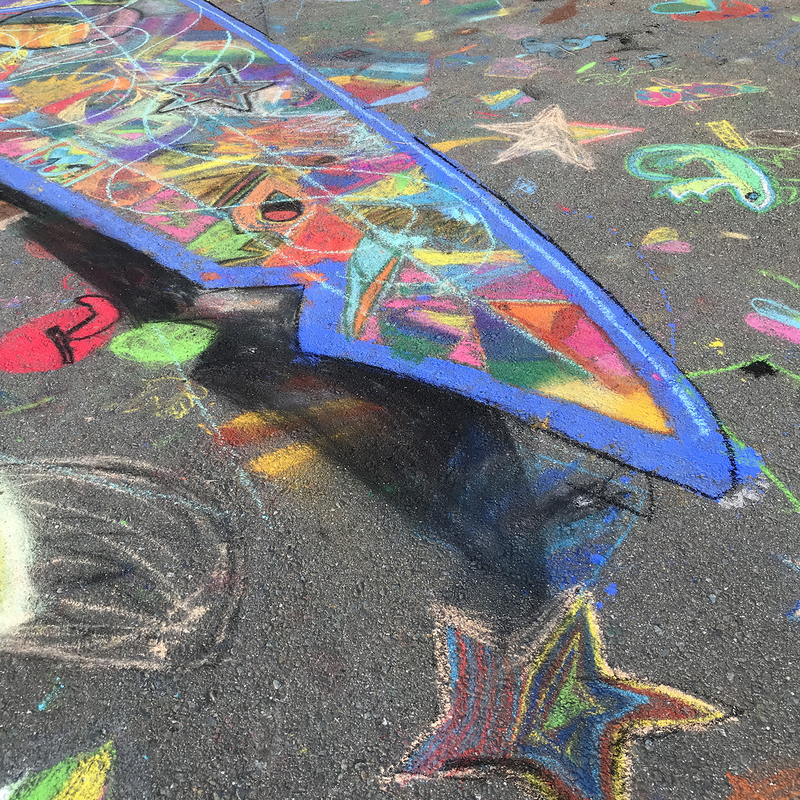 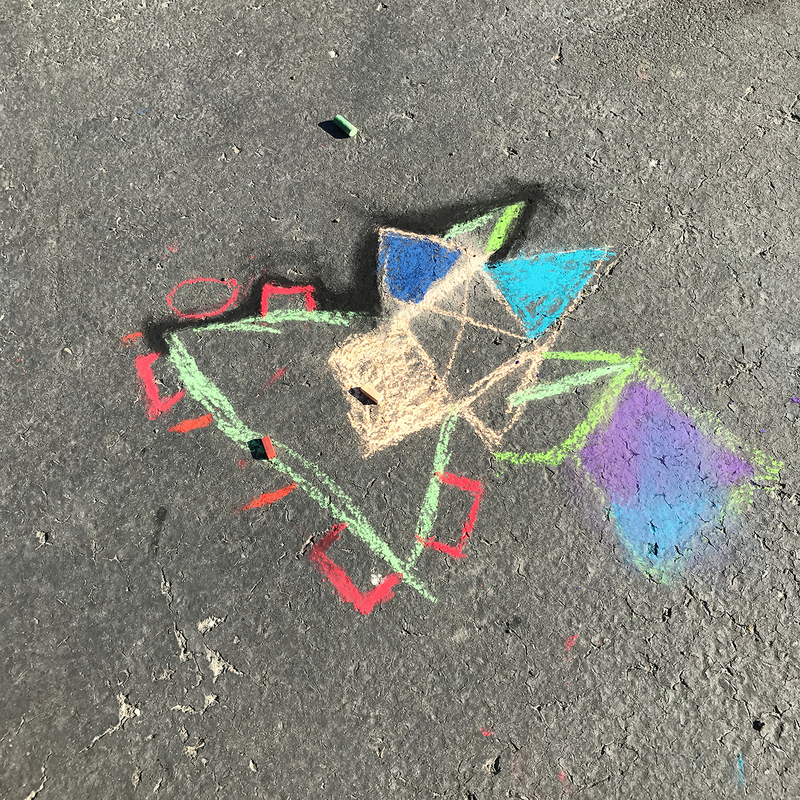 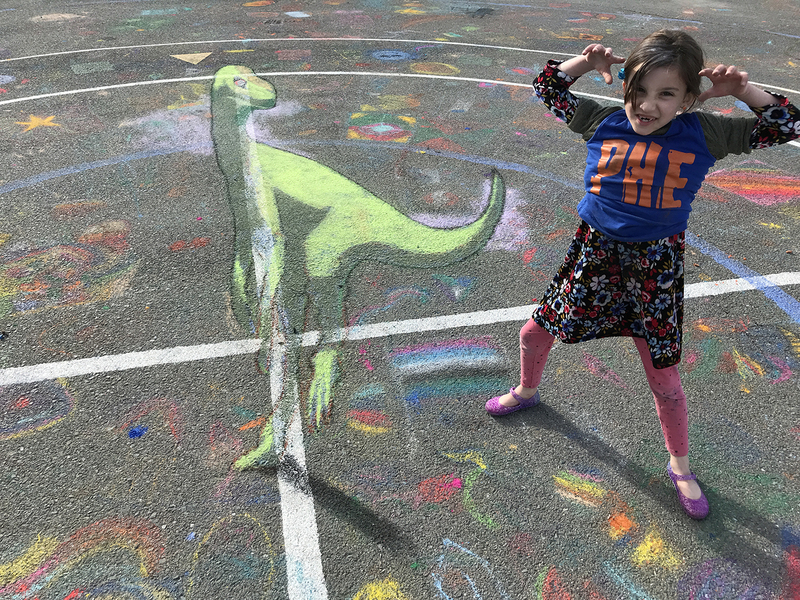 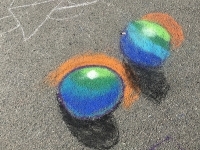 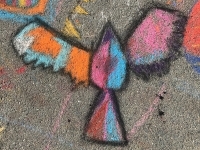 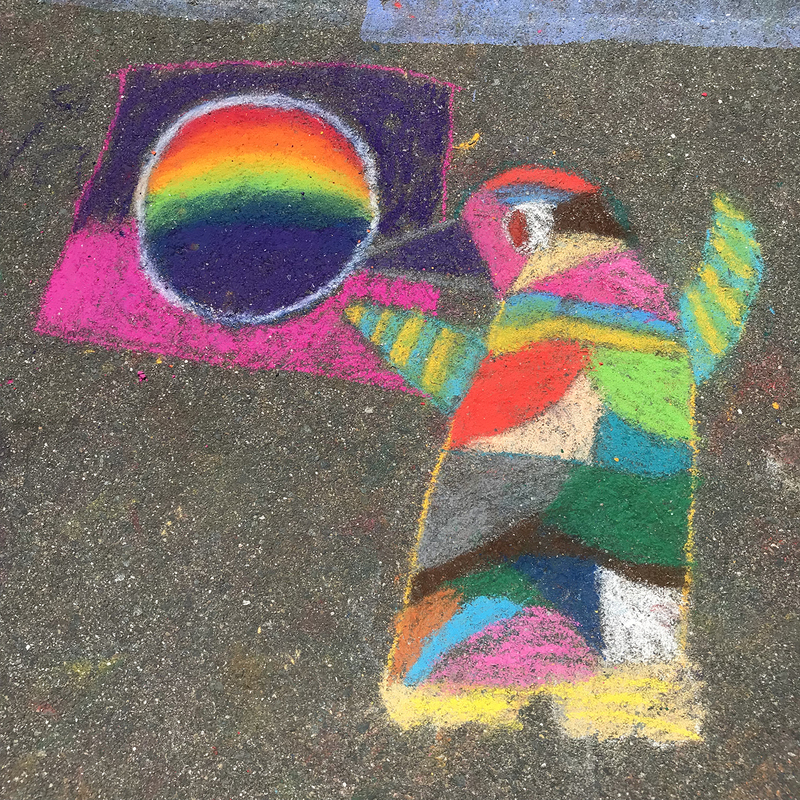 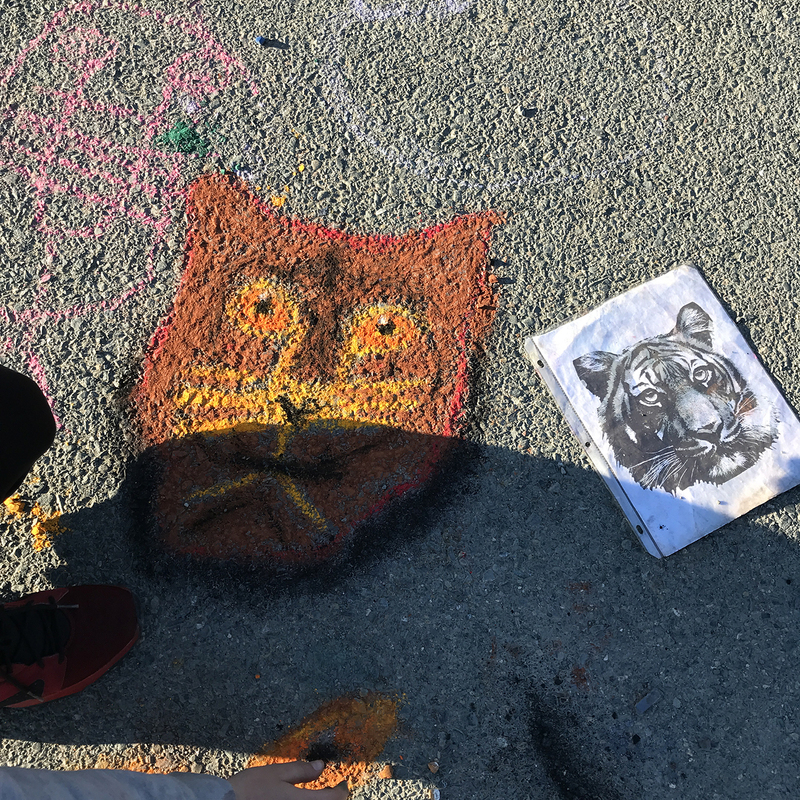 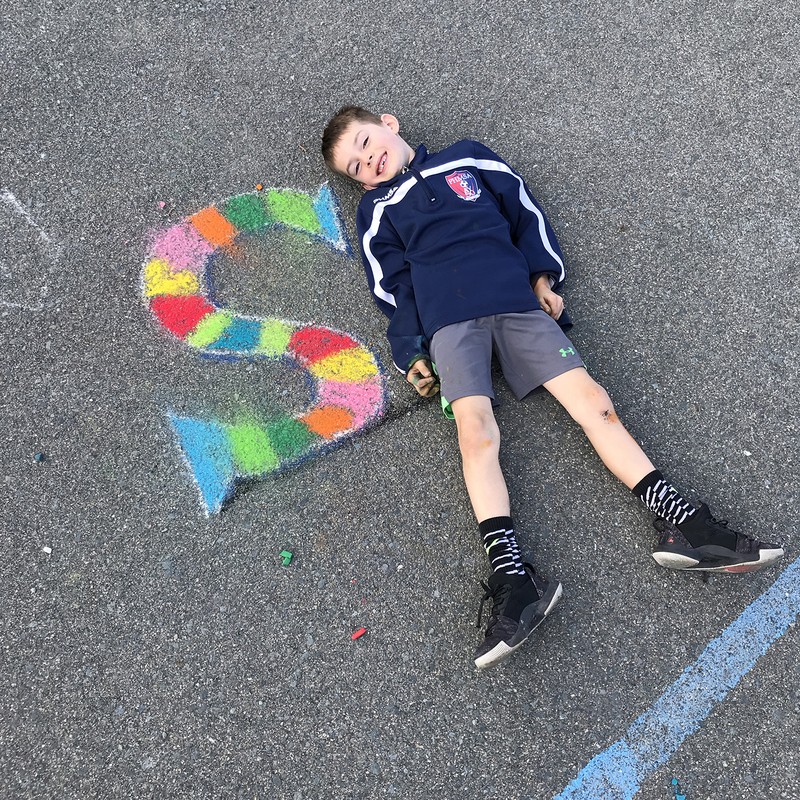 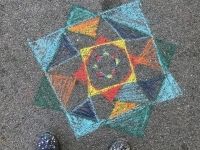 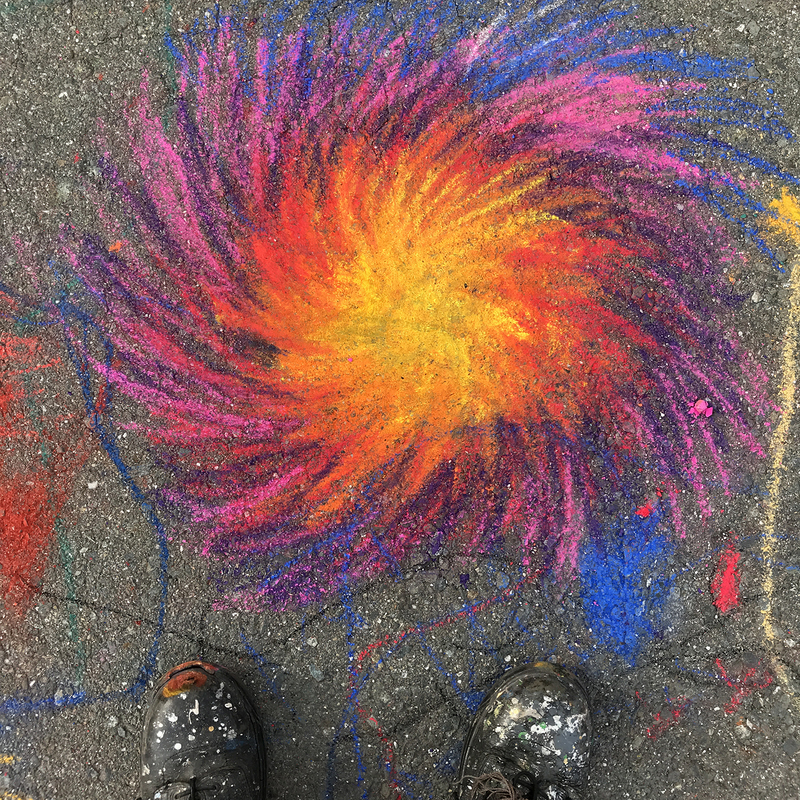 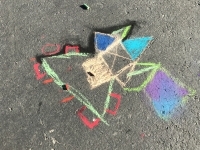 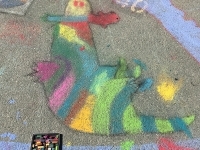 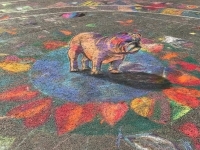 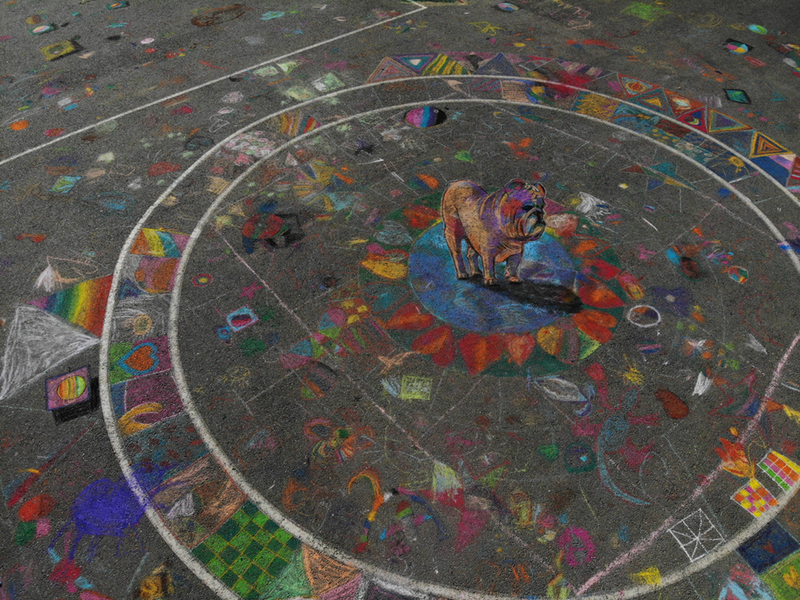 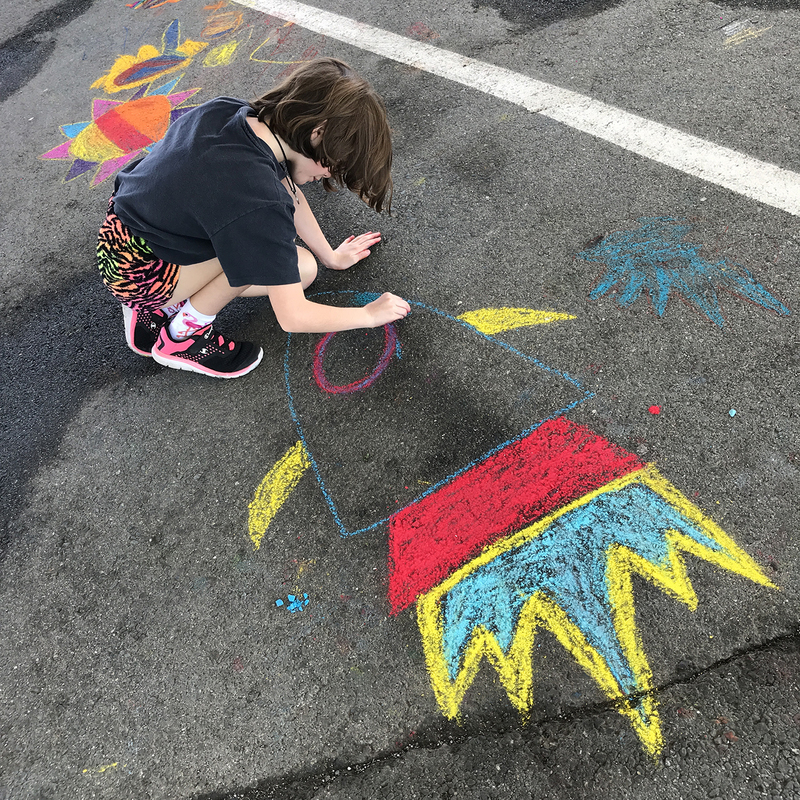 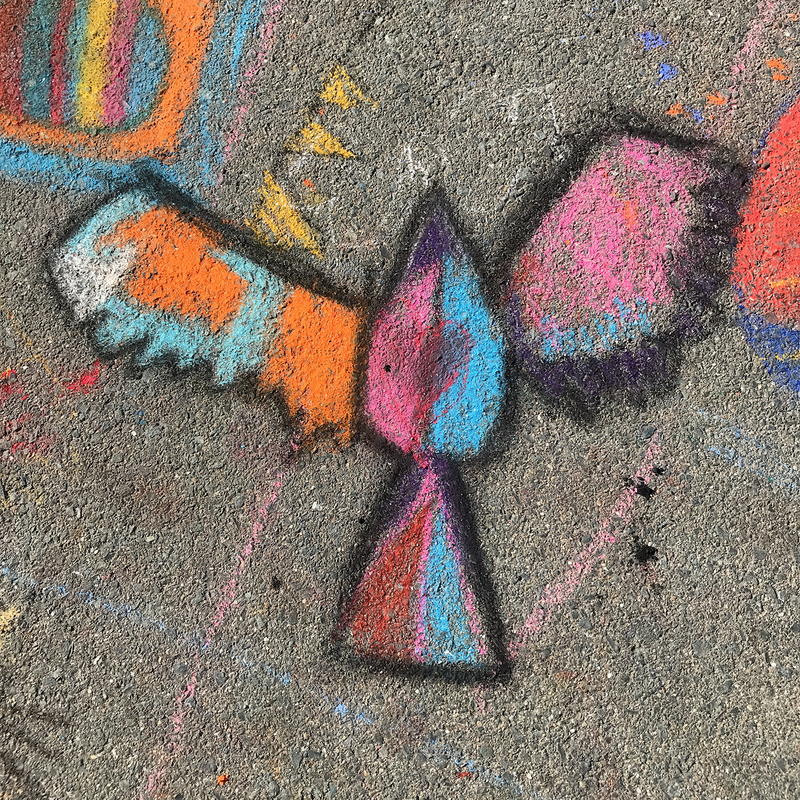 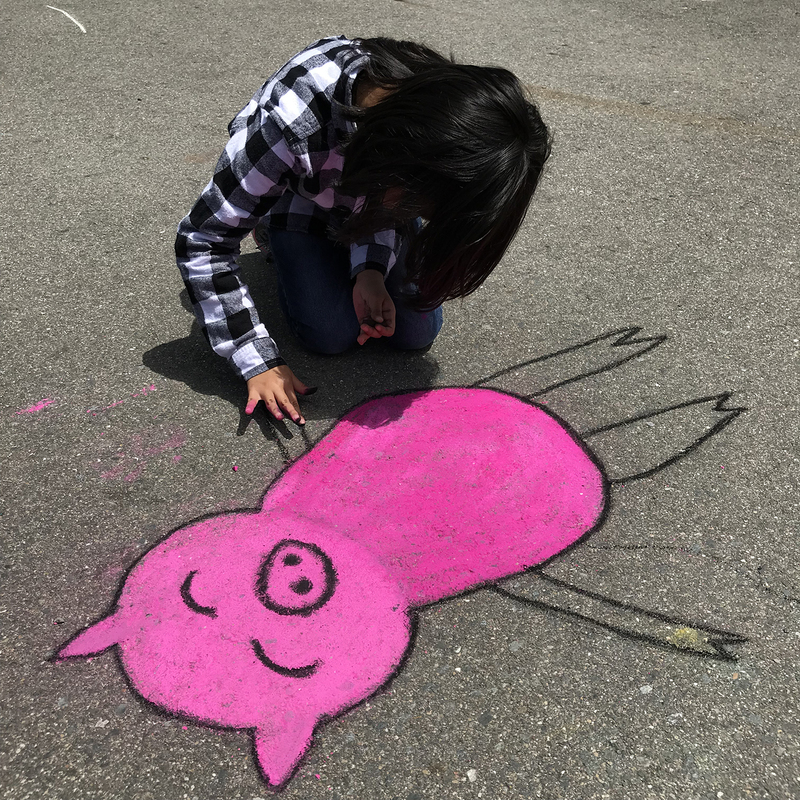 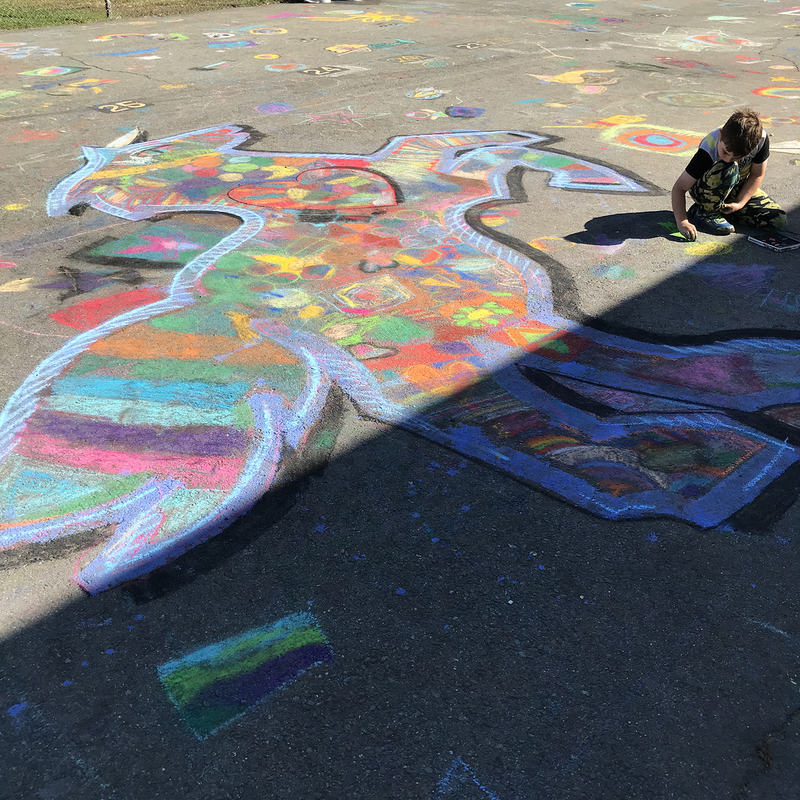 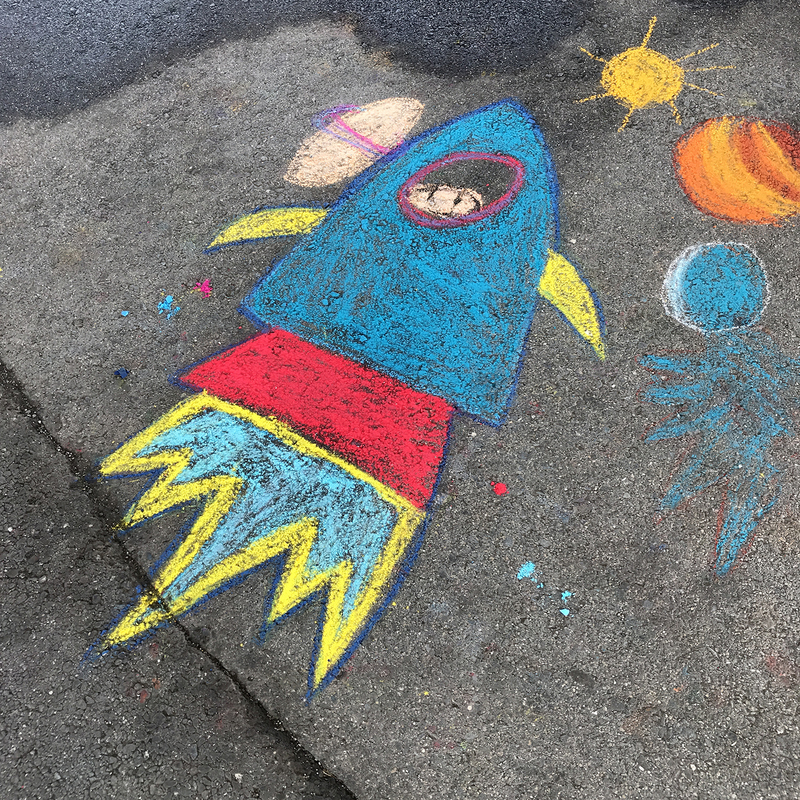 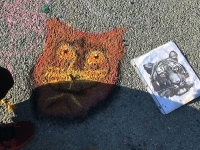 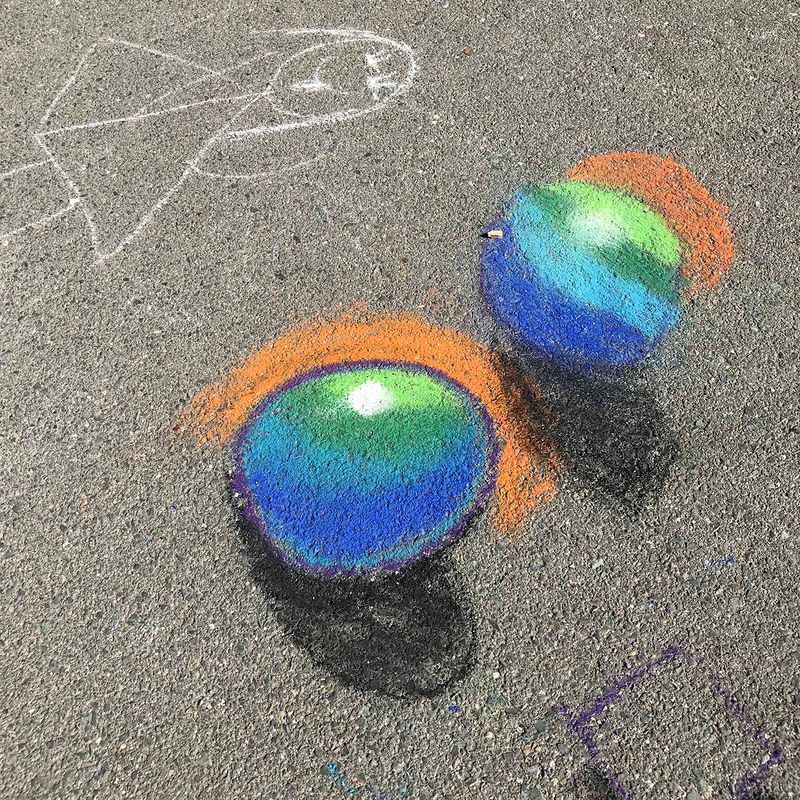 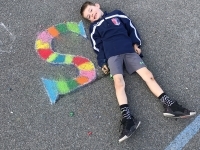 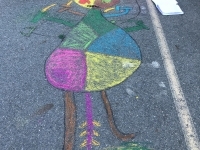 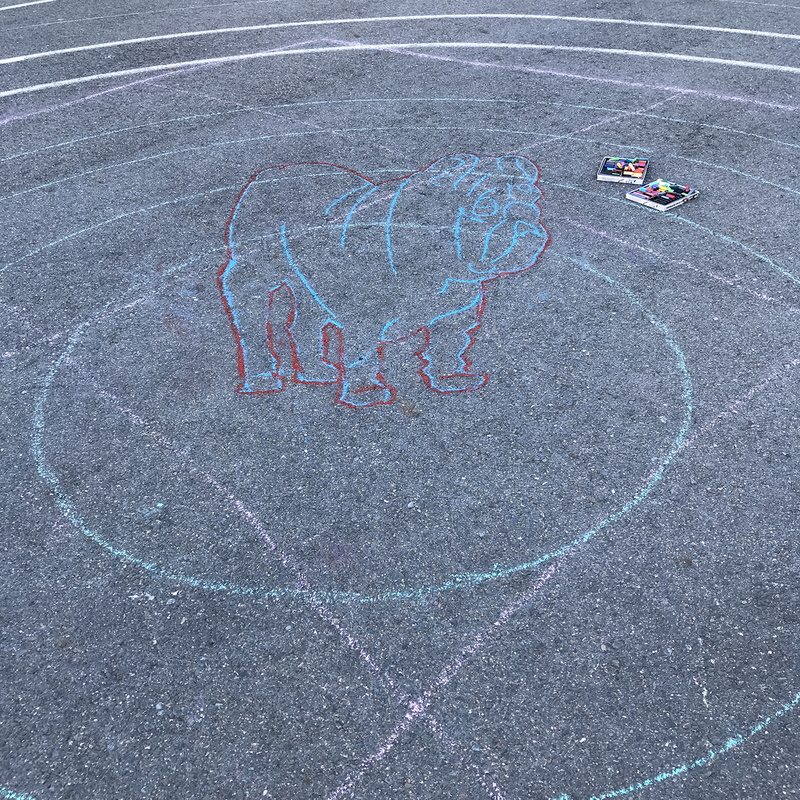 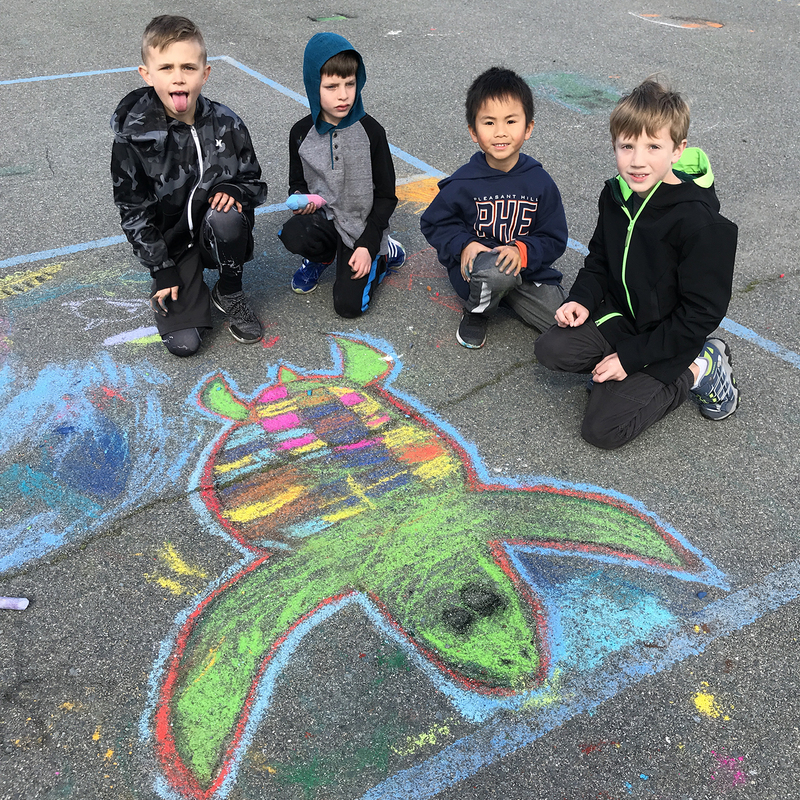 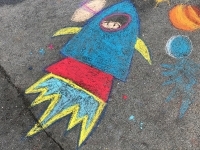 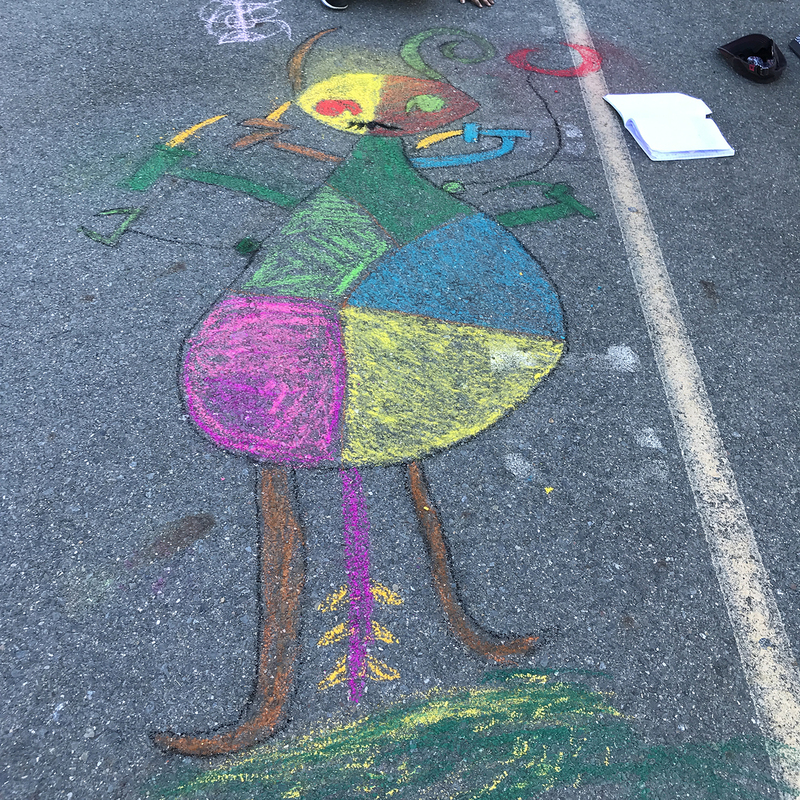 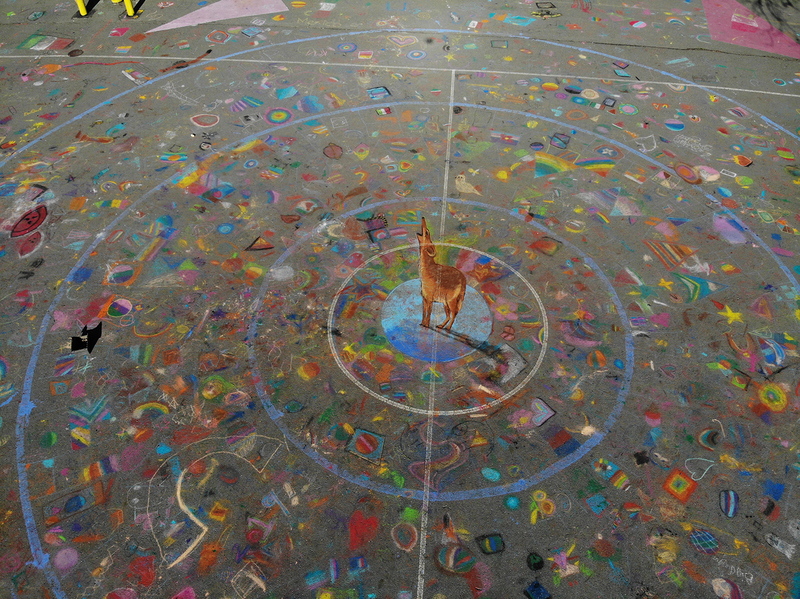 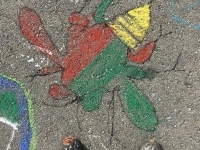 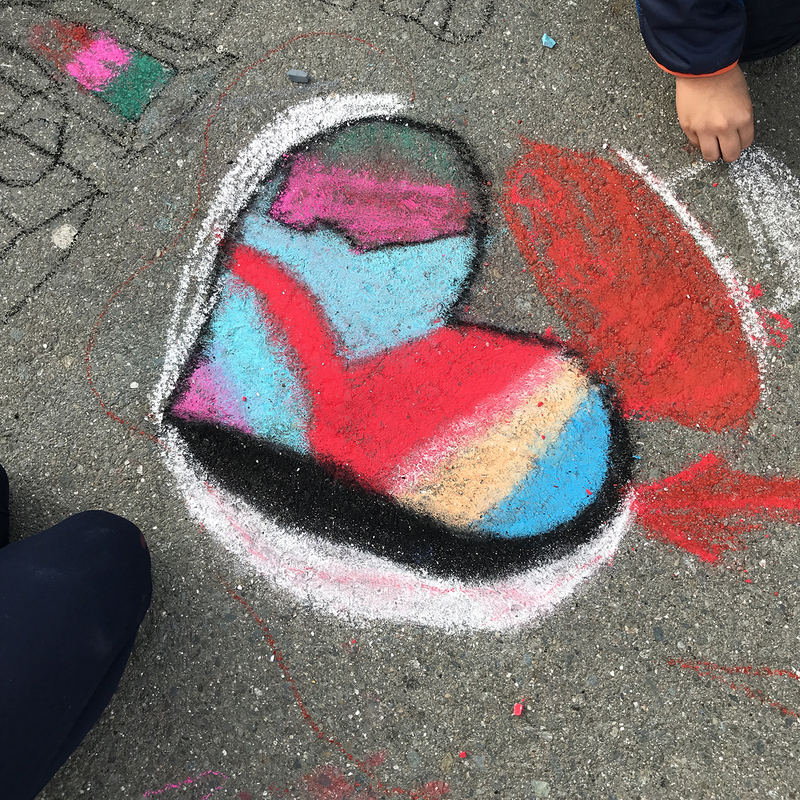 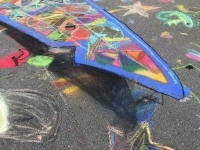 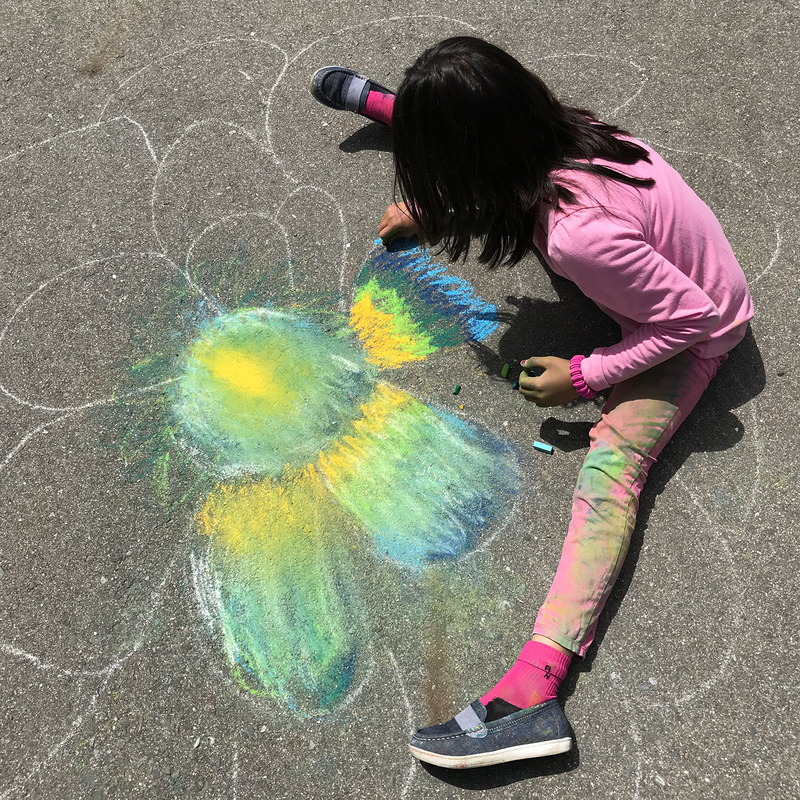 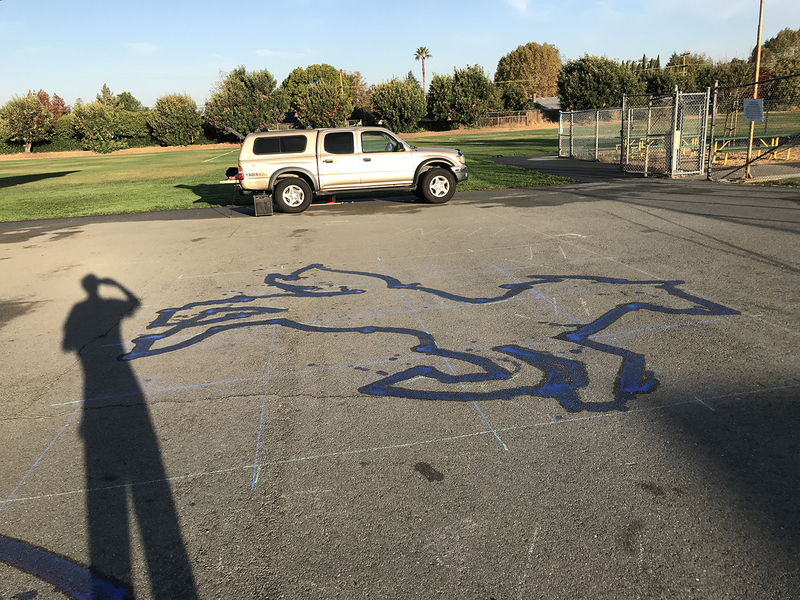 Our big year long elementary school chalk drawing project has begun again. 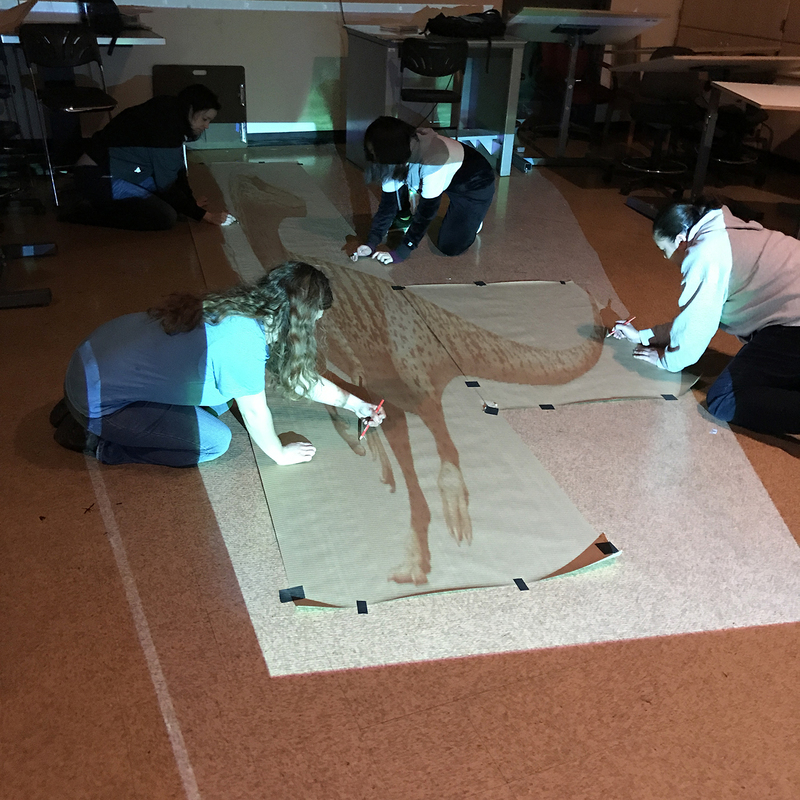 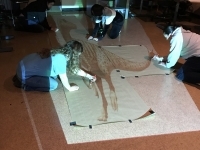 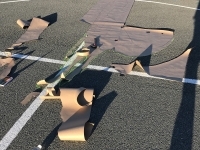 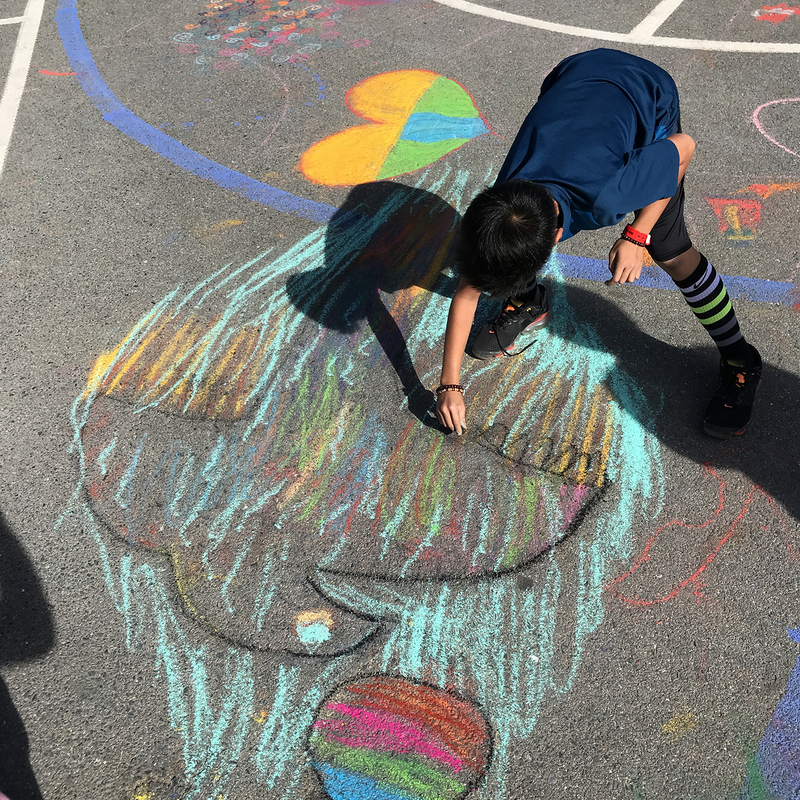 Drawing on Earth is collaborating with the Mt. 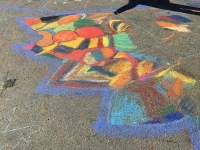 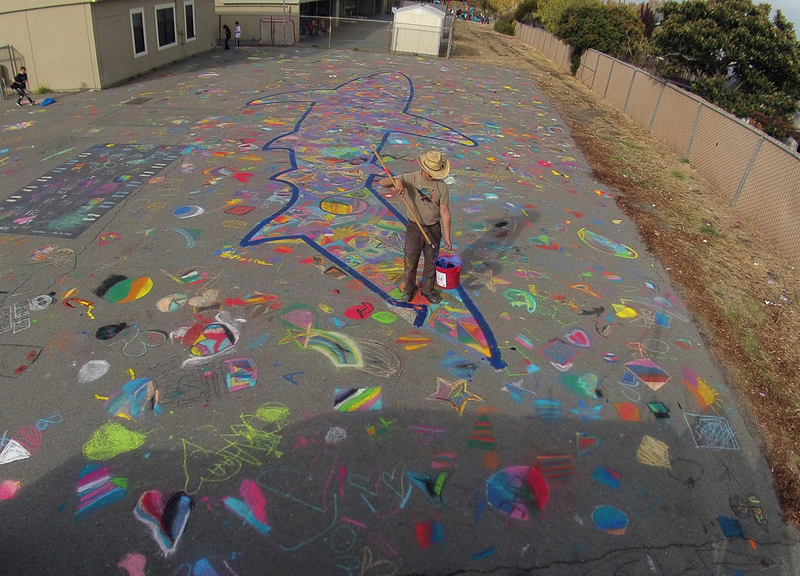 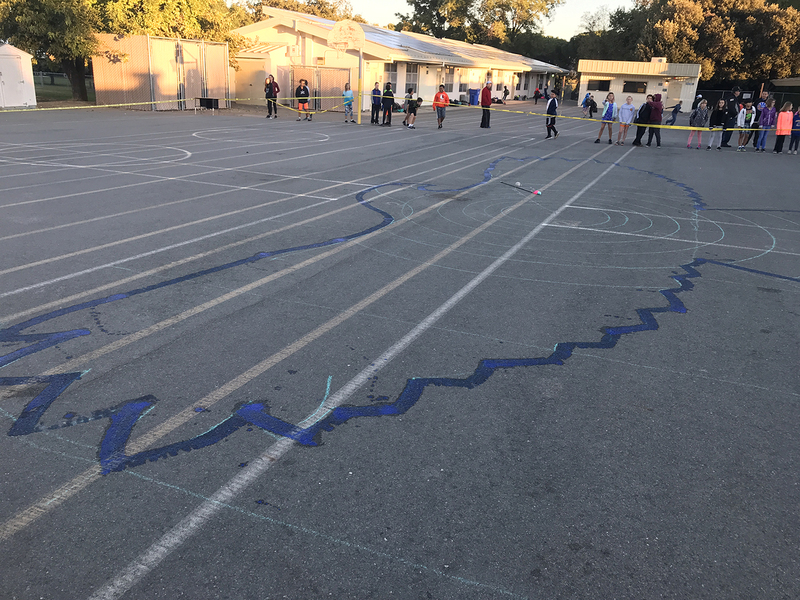 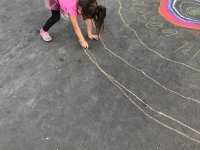 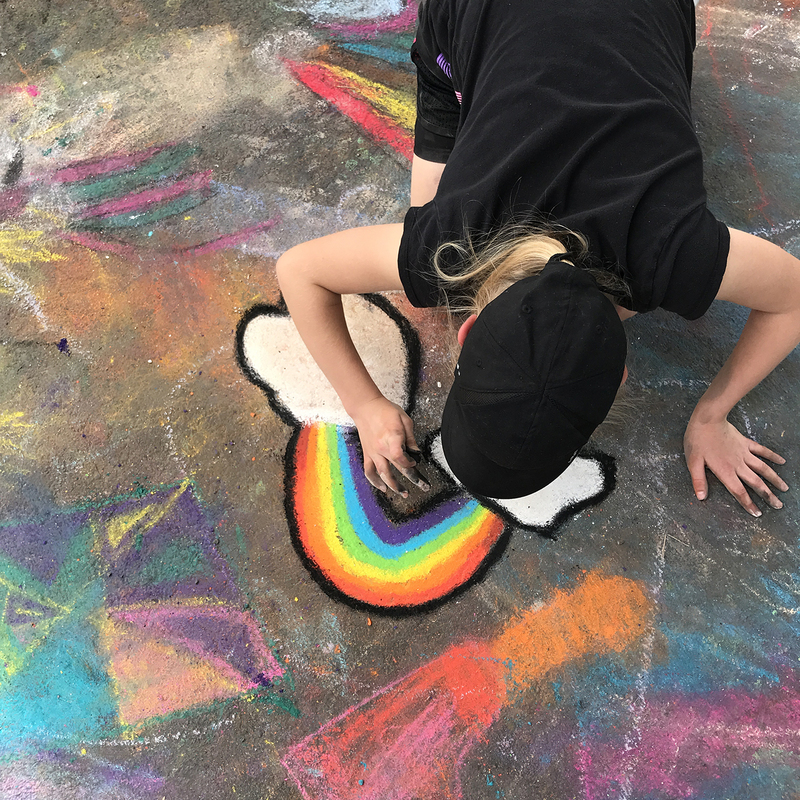 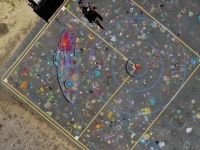 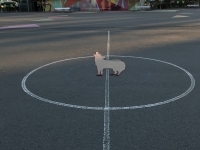 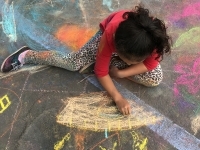 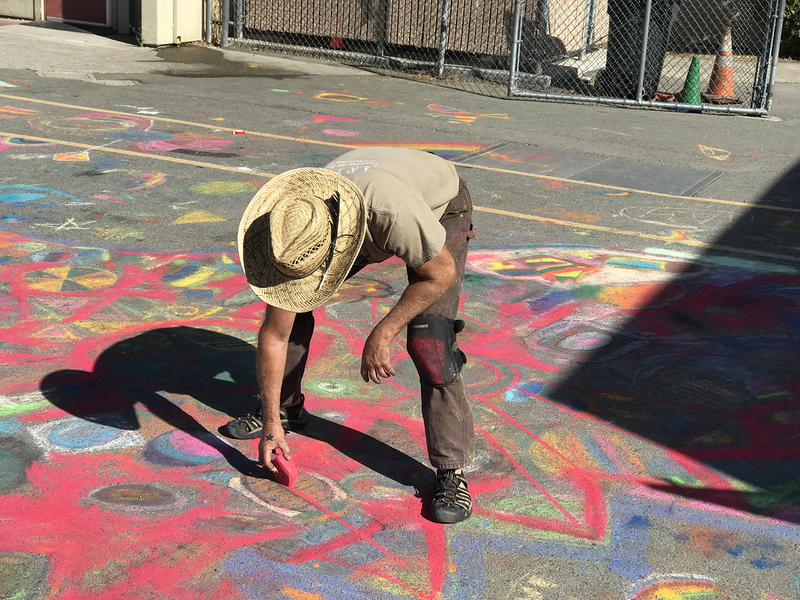 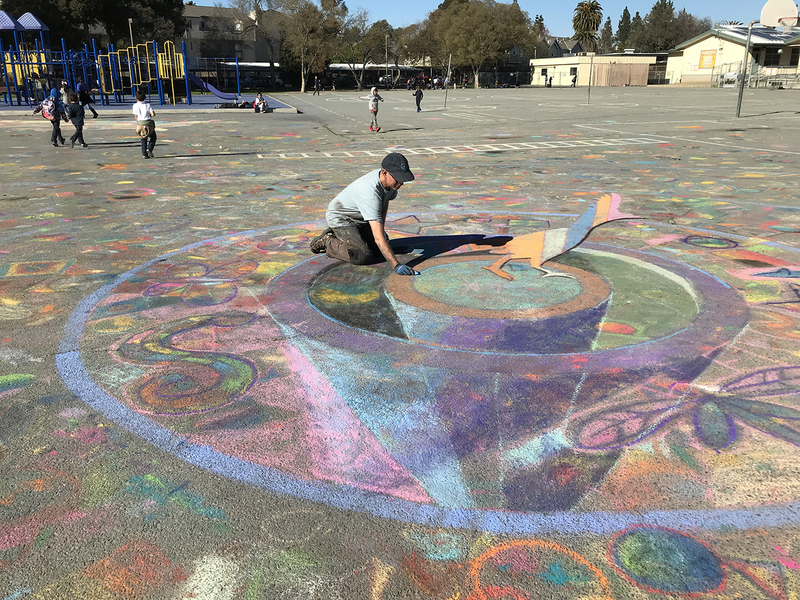 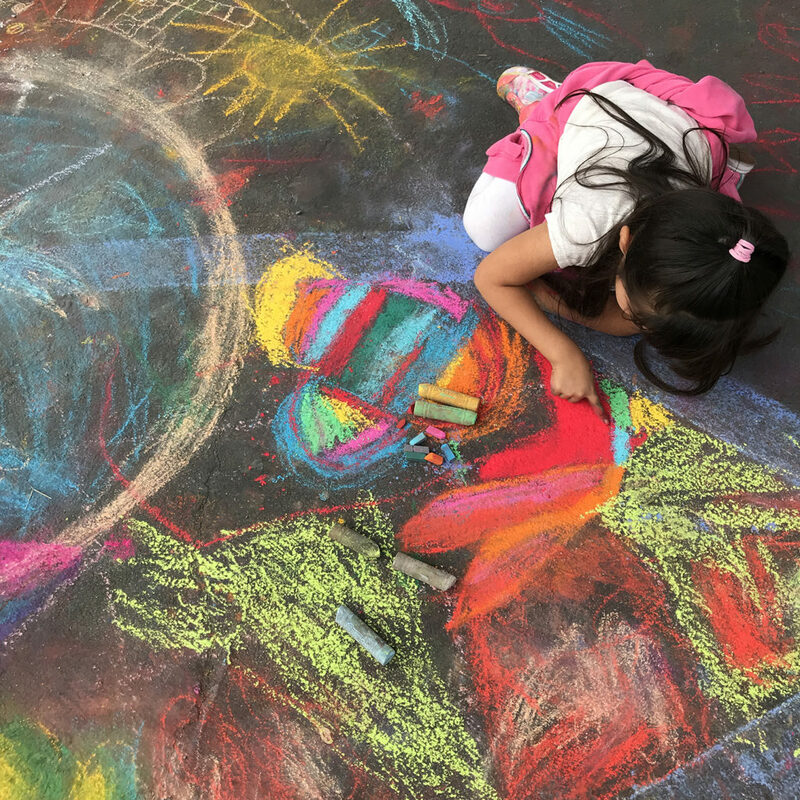 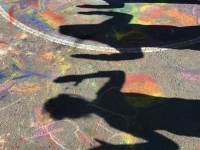 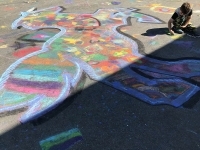 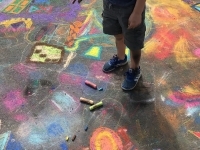 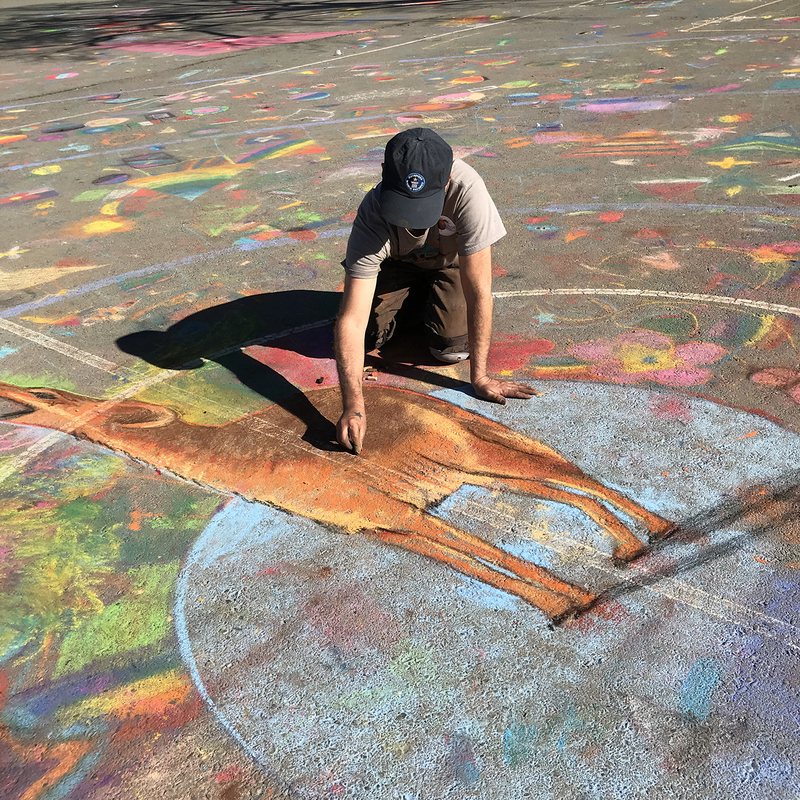 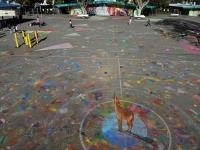 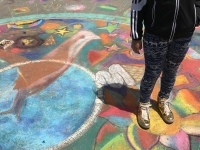 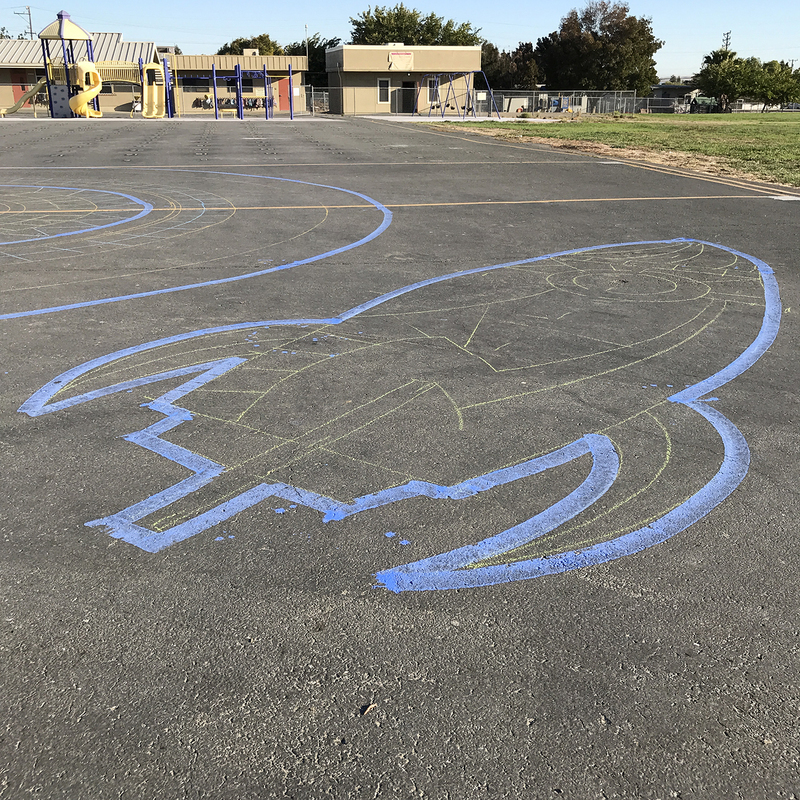 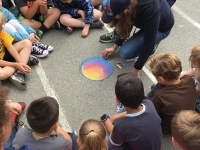 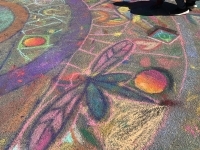 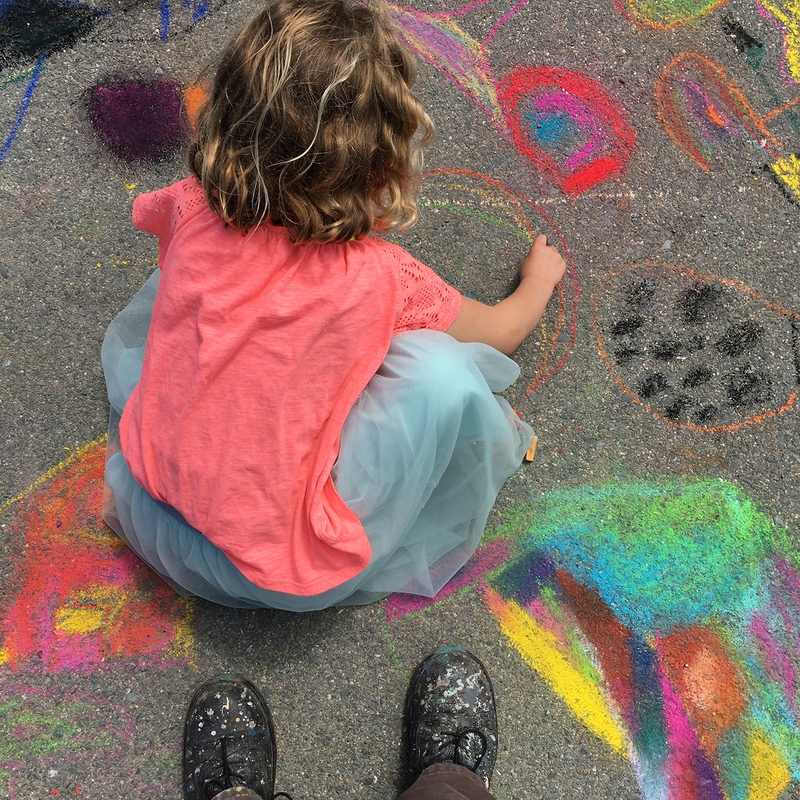 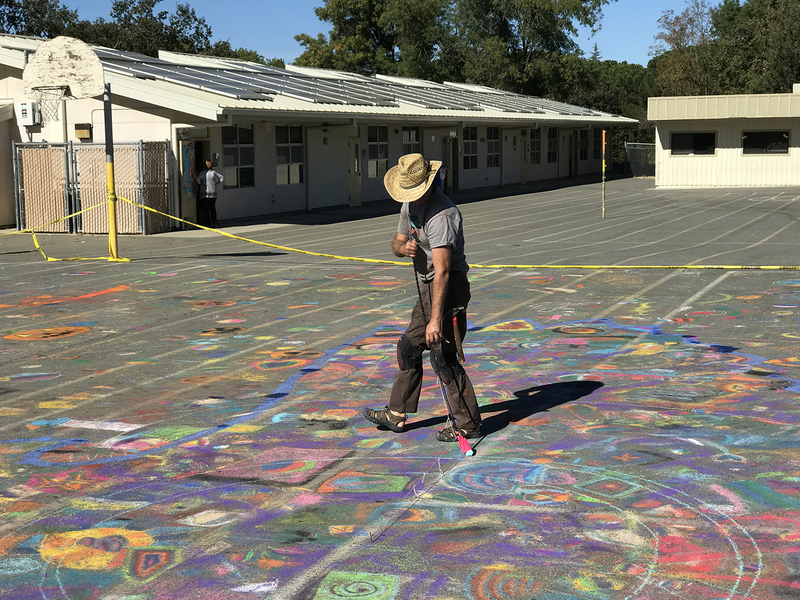 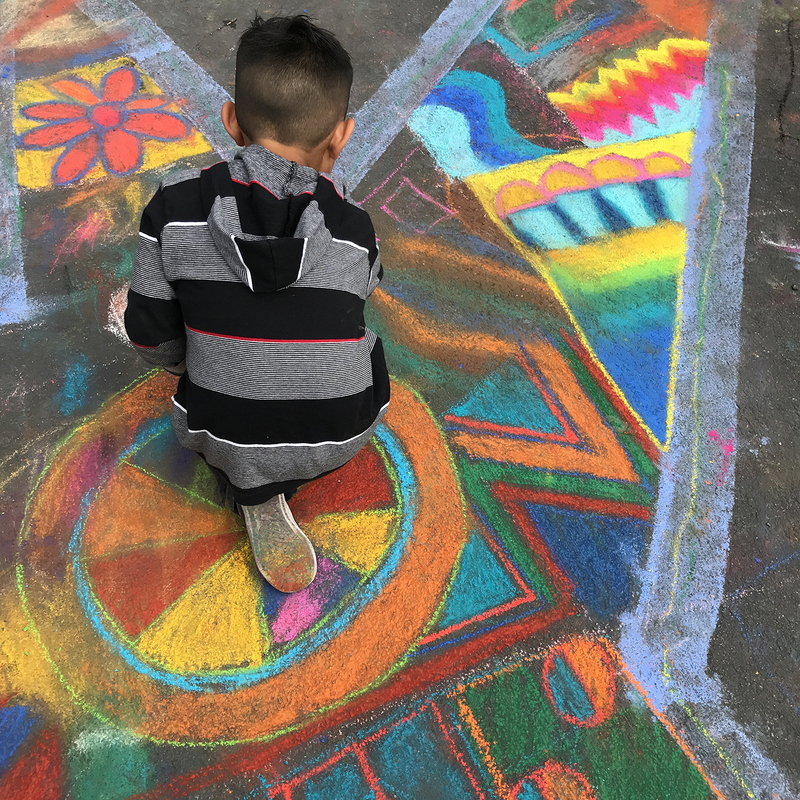 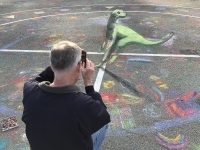 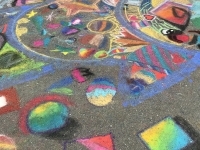 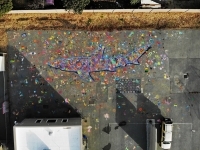 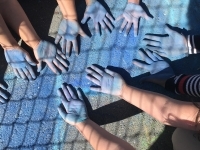 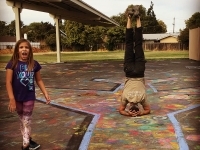 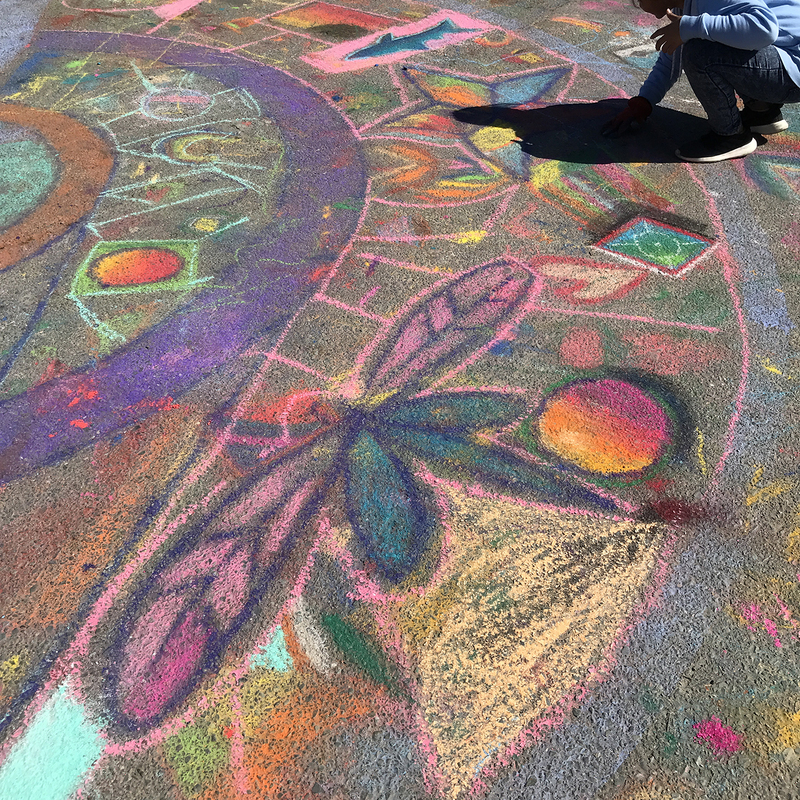 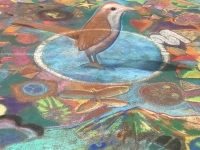 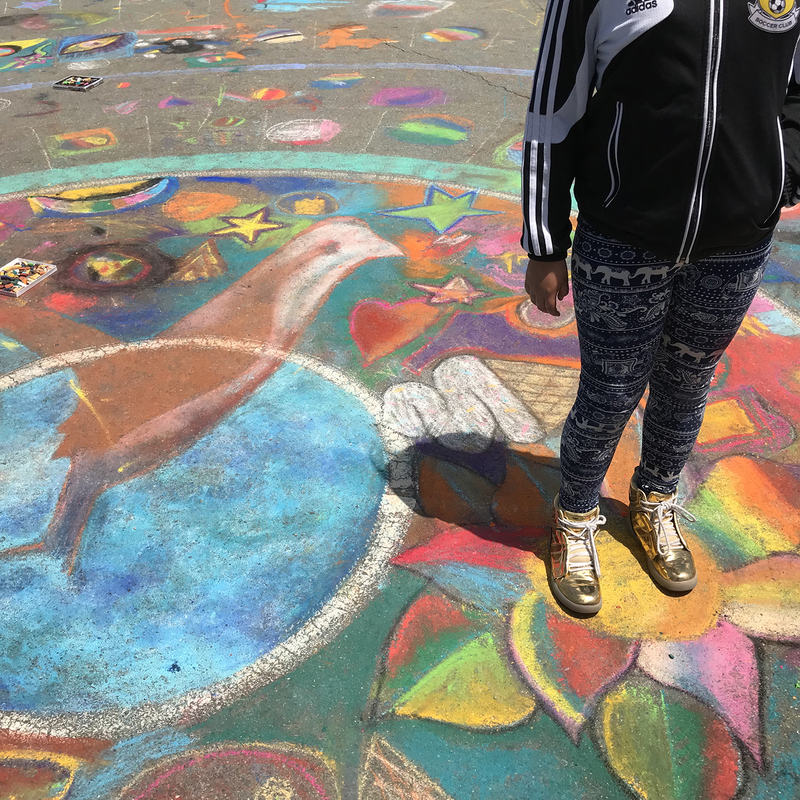 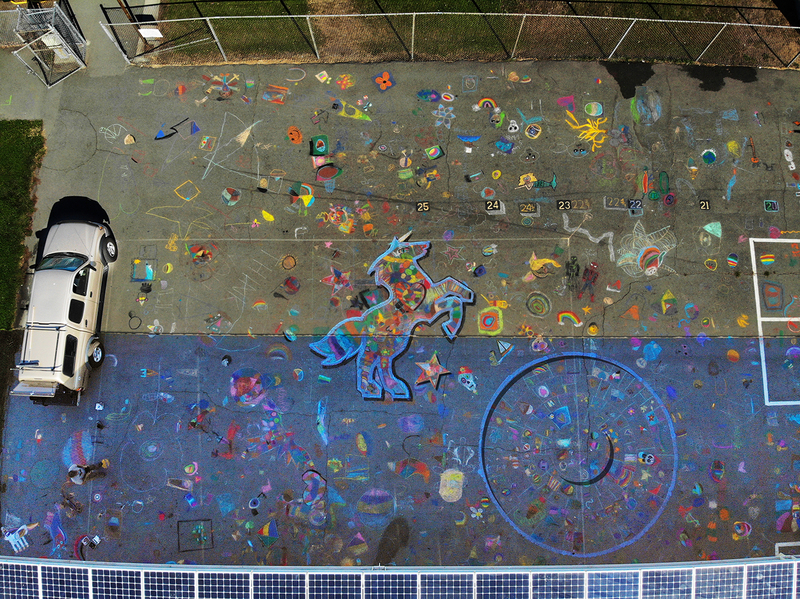 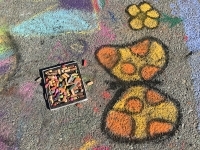 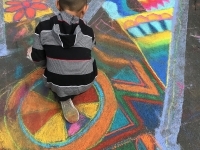 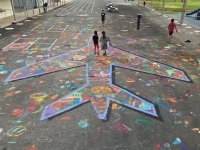 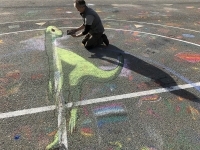 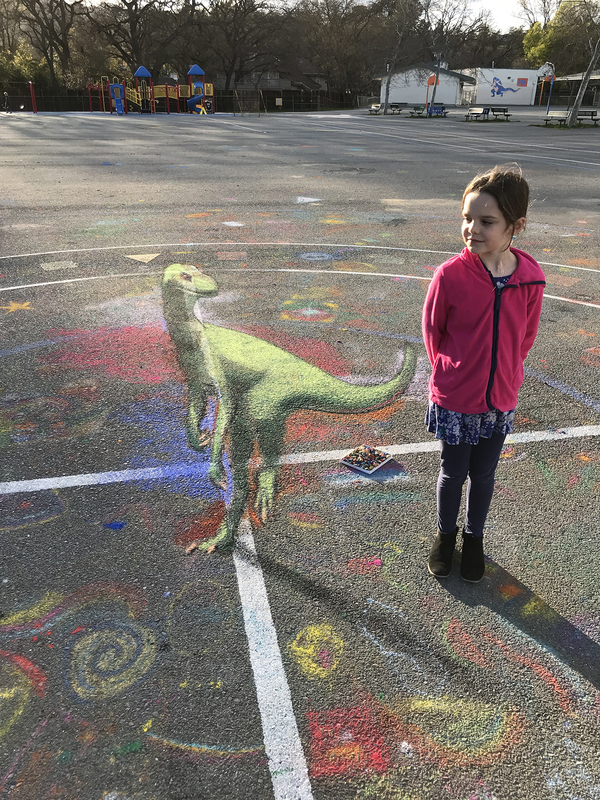 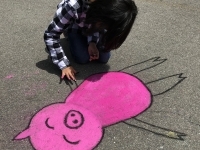 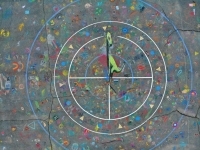 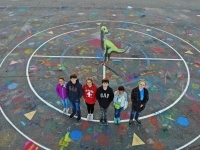 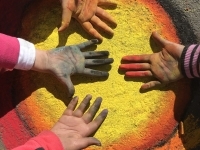 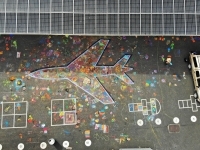 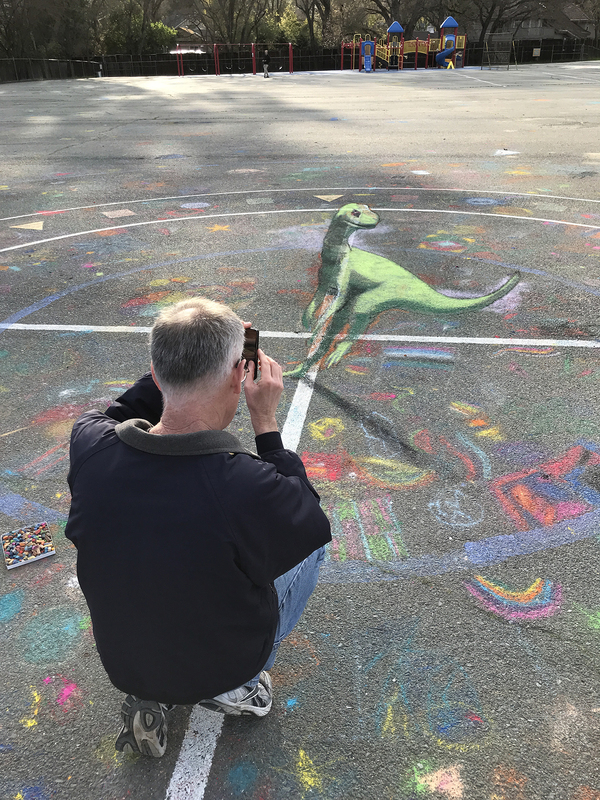 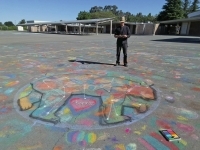 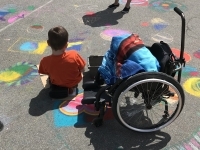 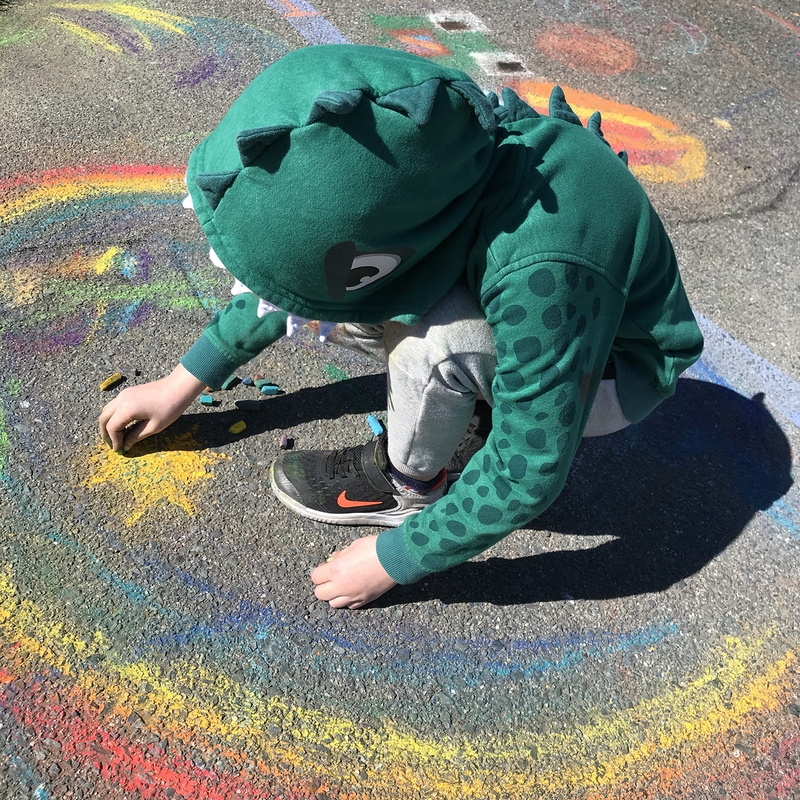 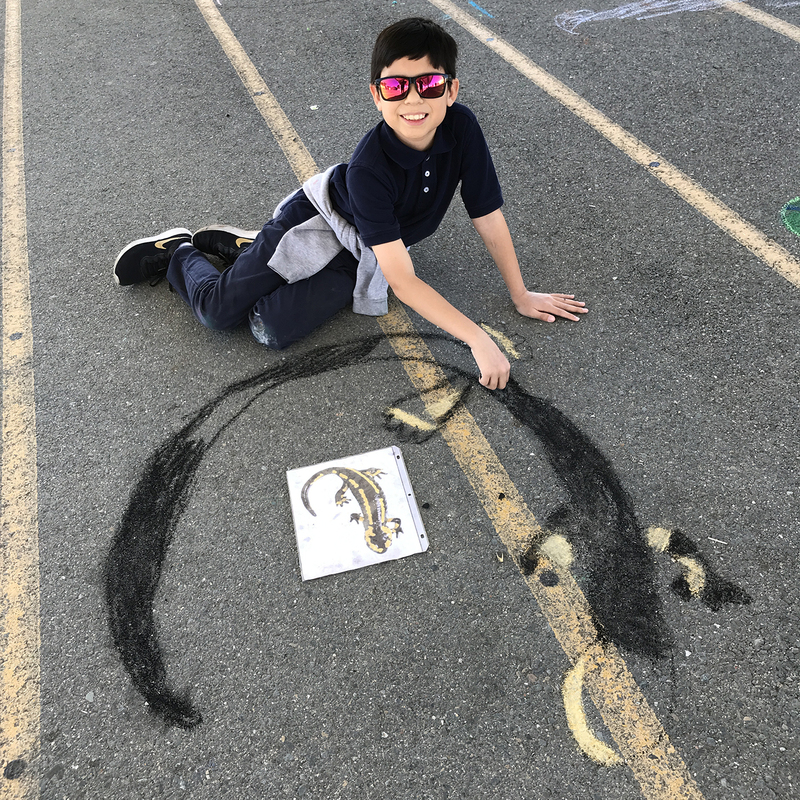 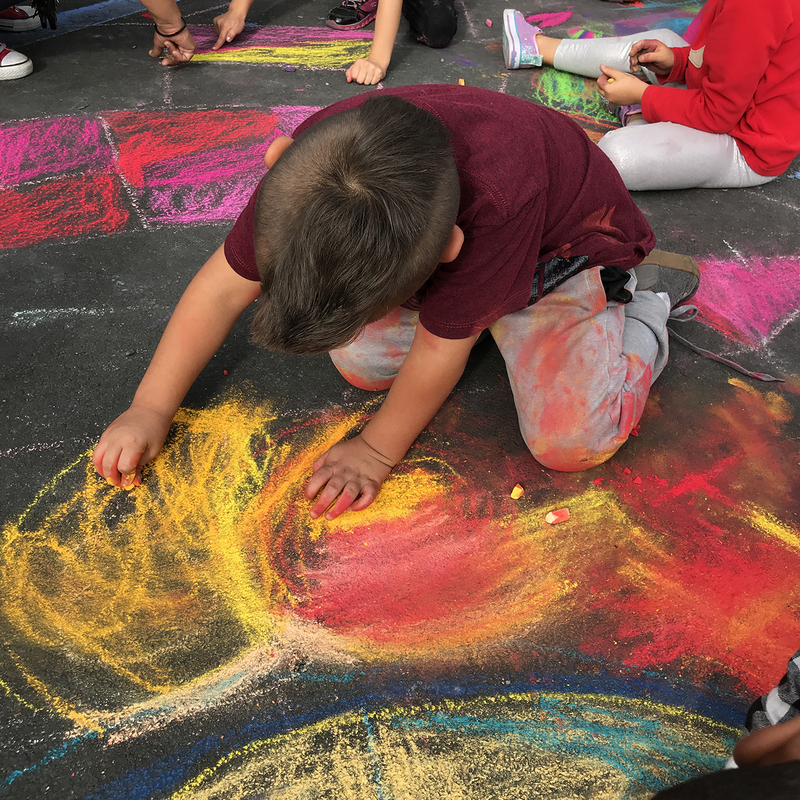 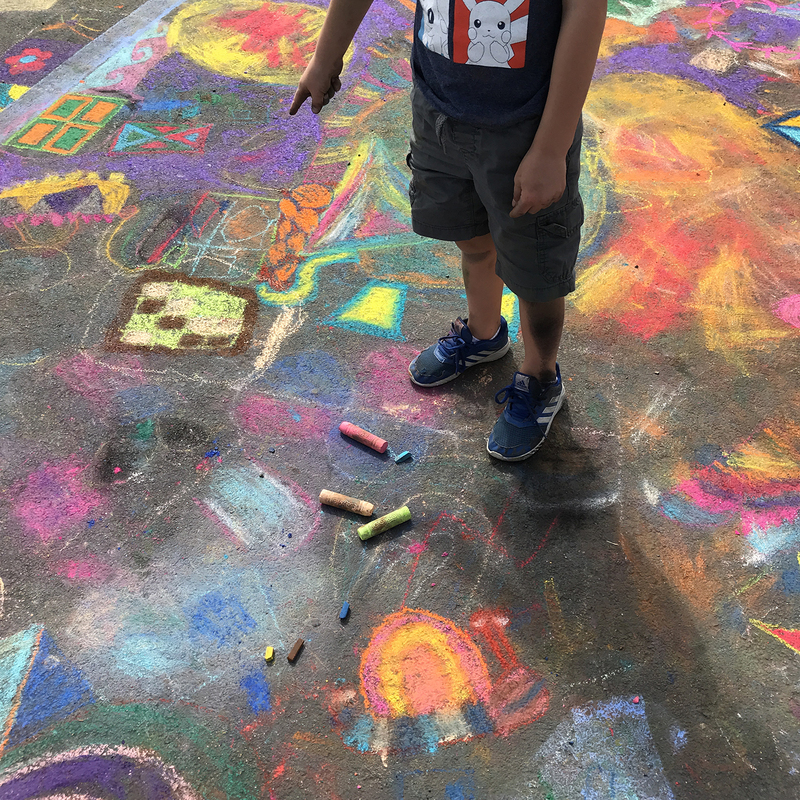 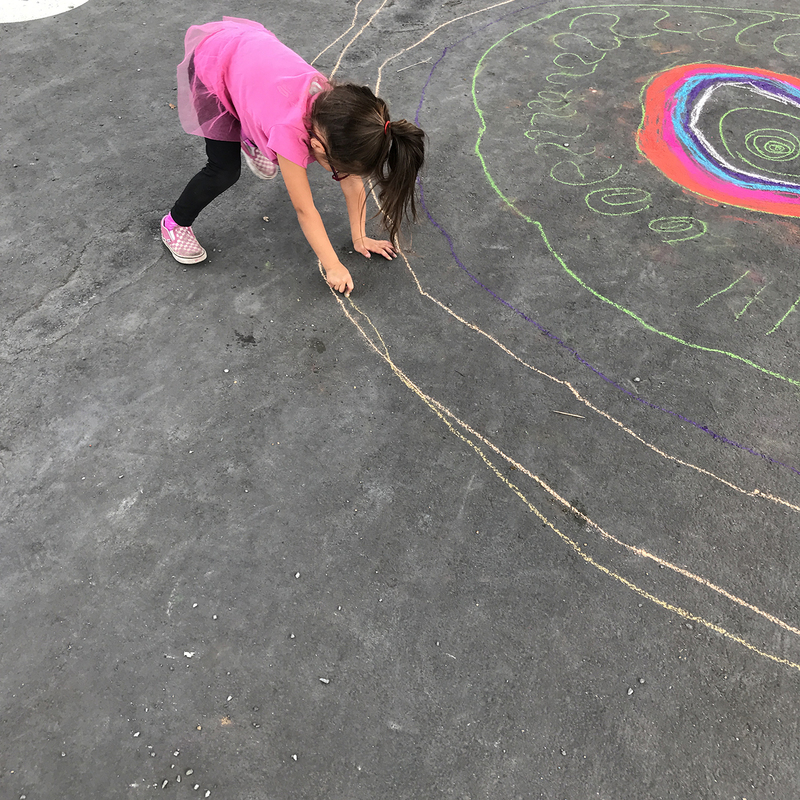 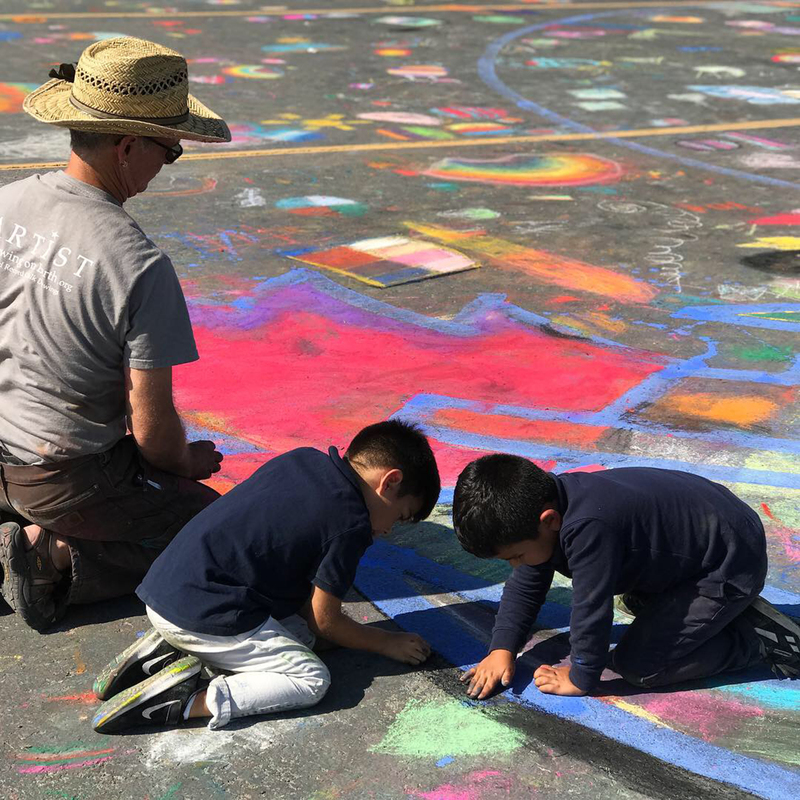 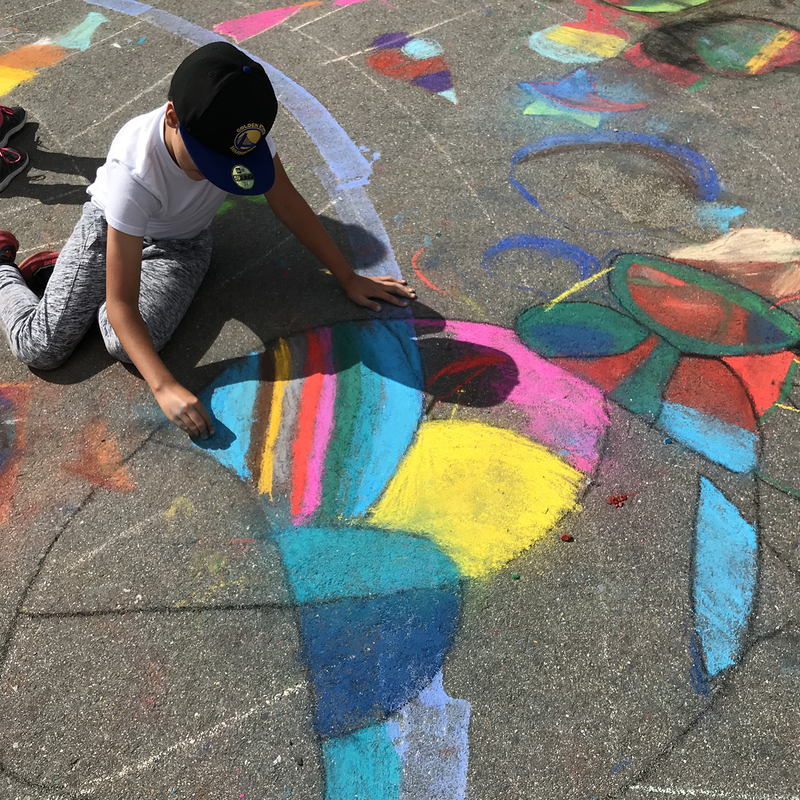 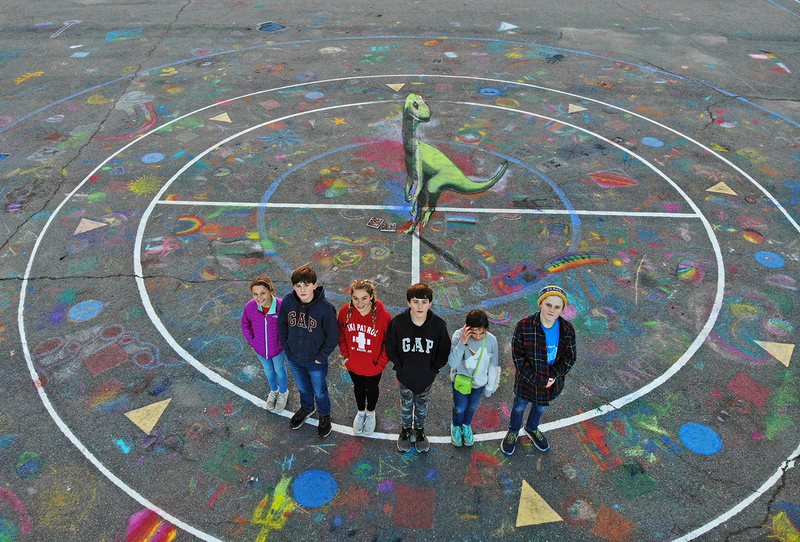 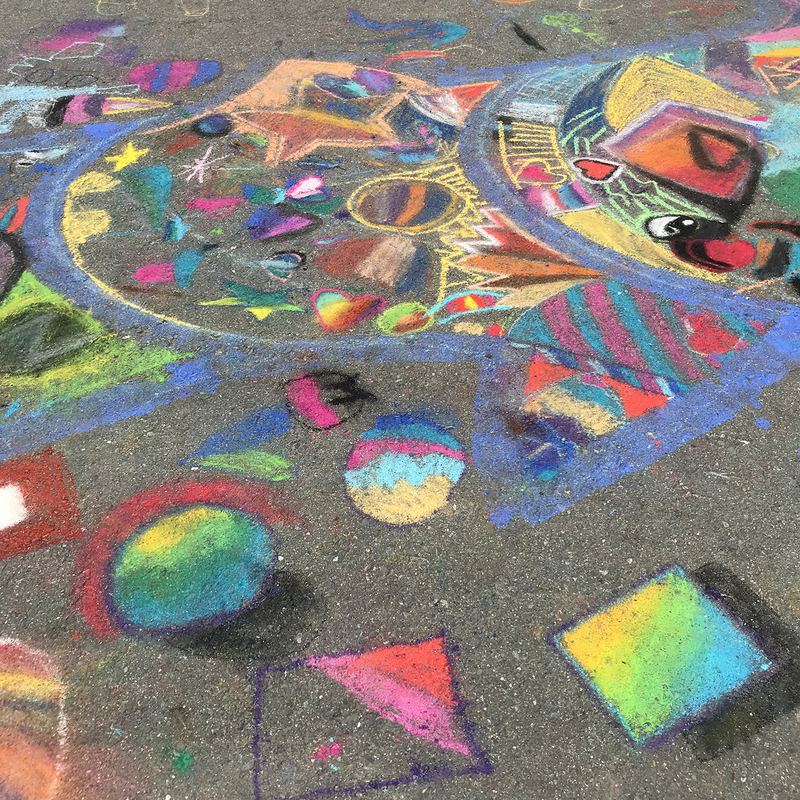 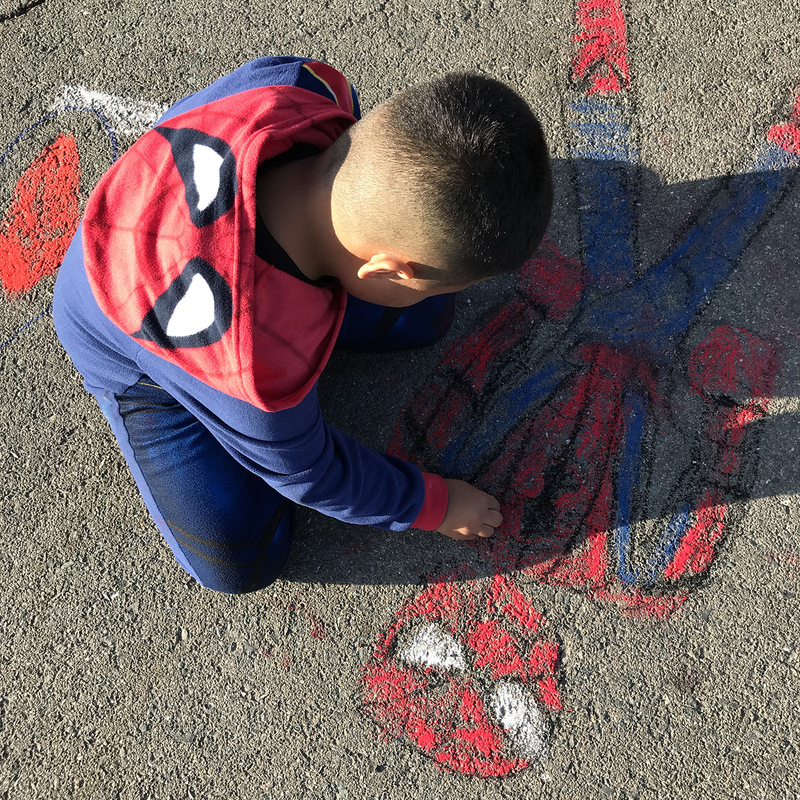 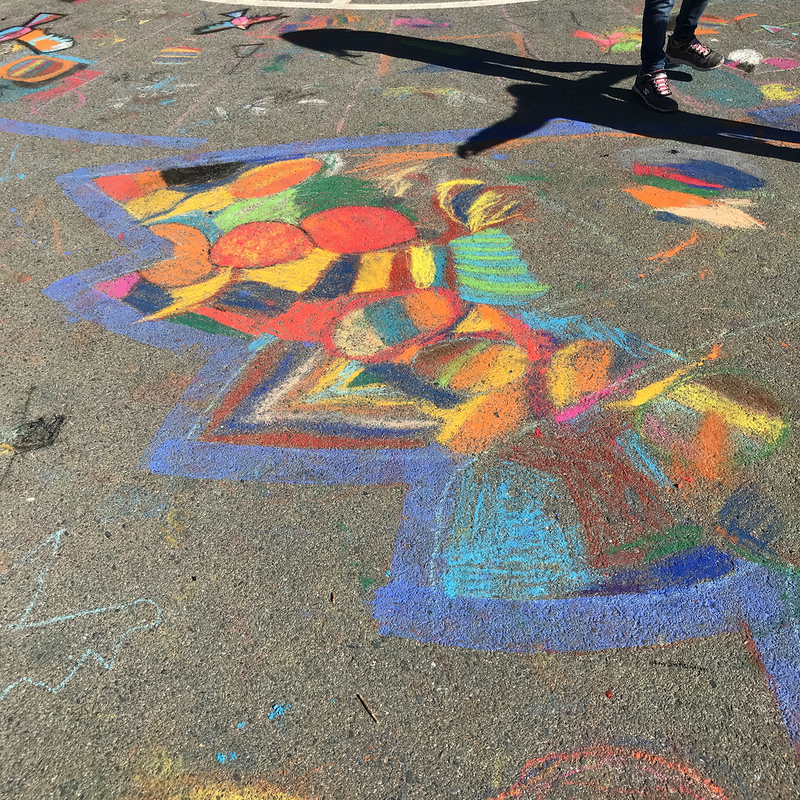 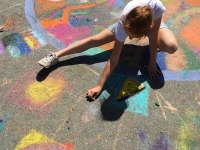 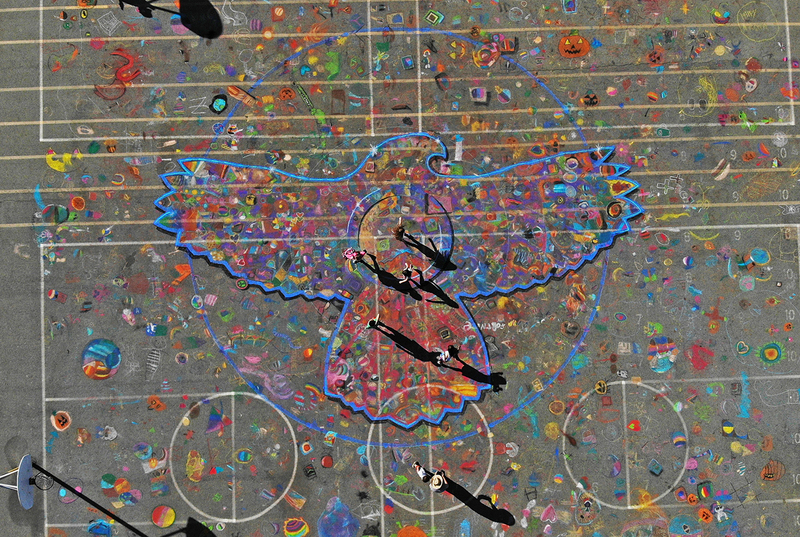 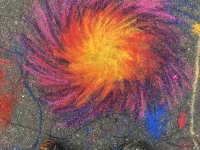 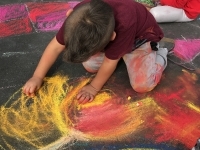 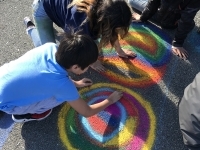 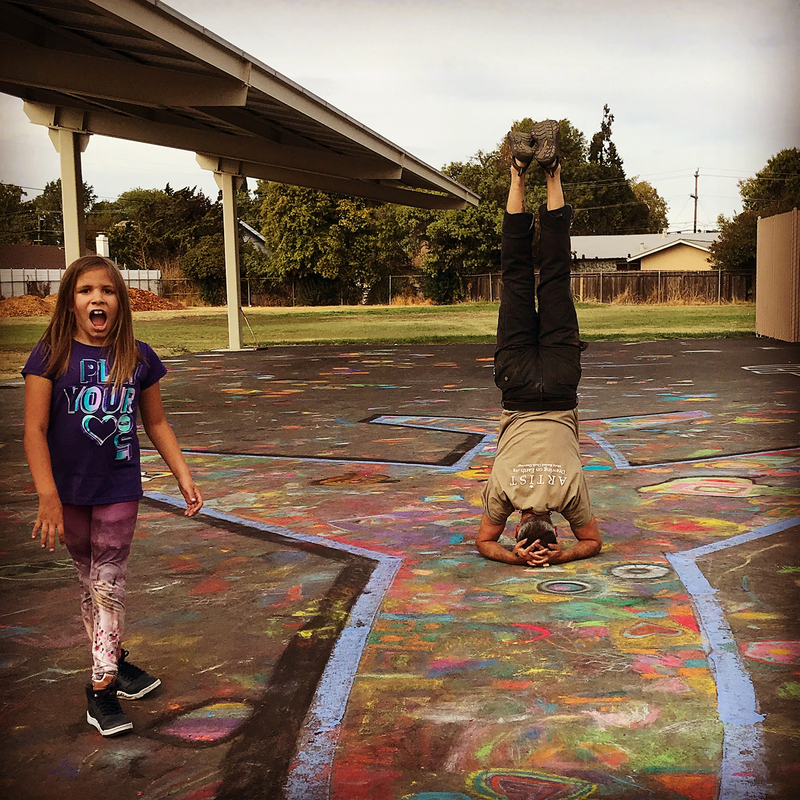 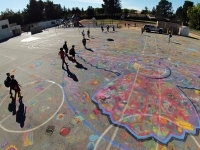 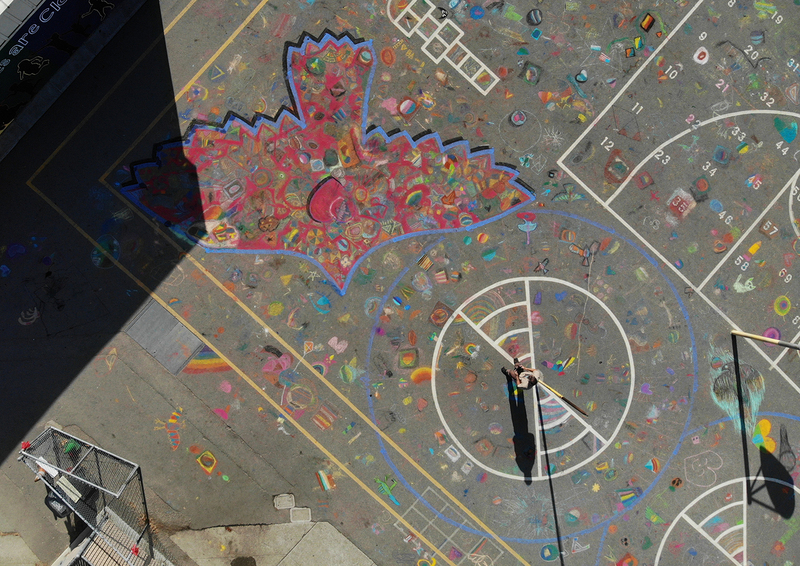 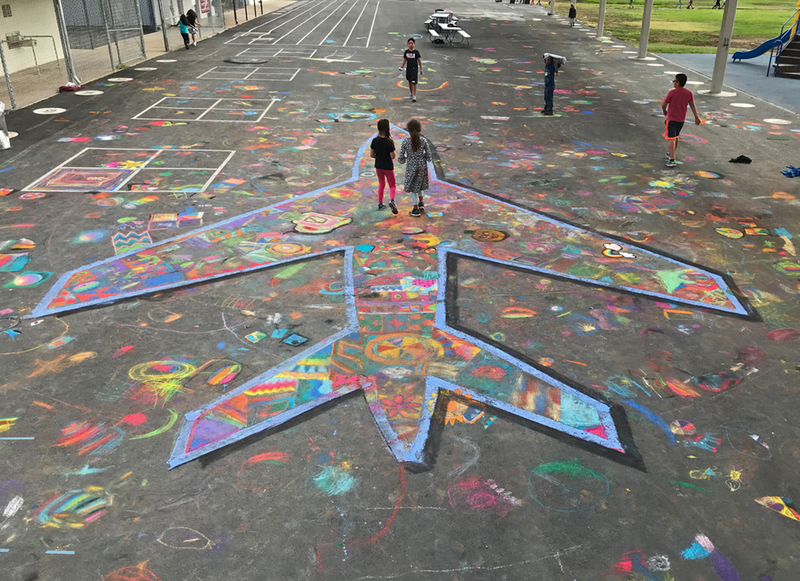 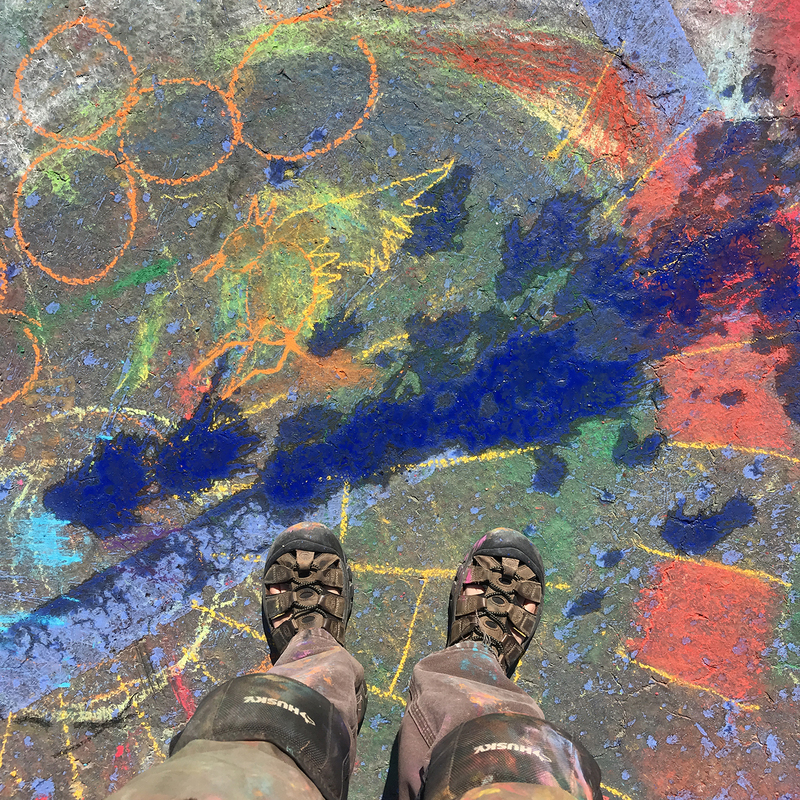 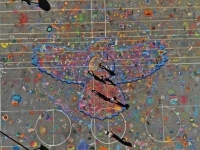 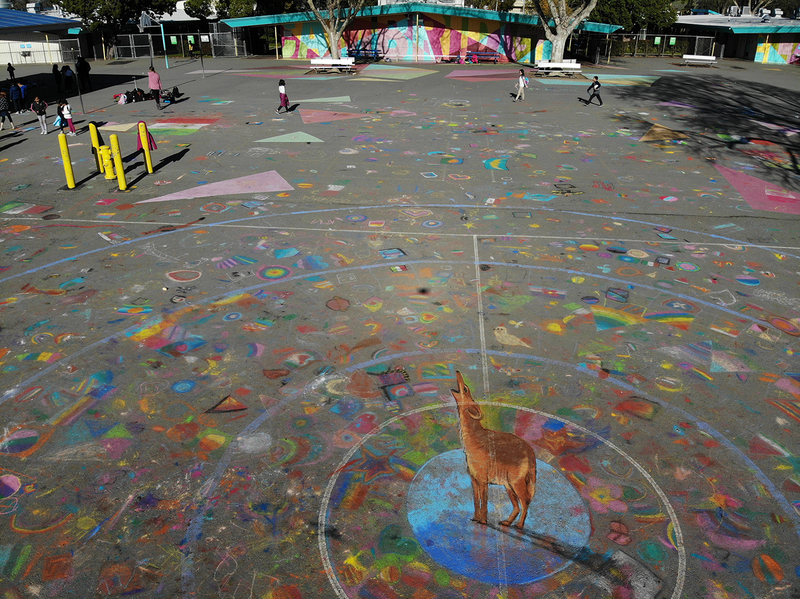 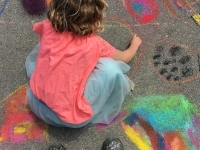 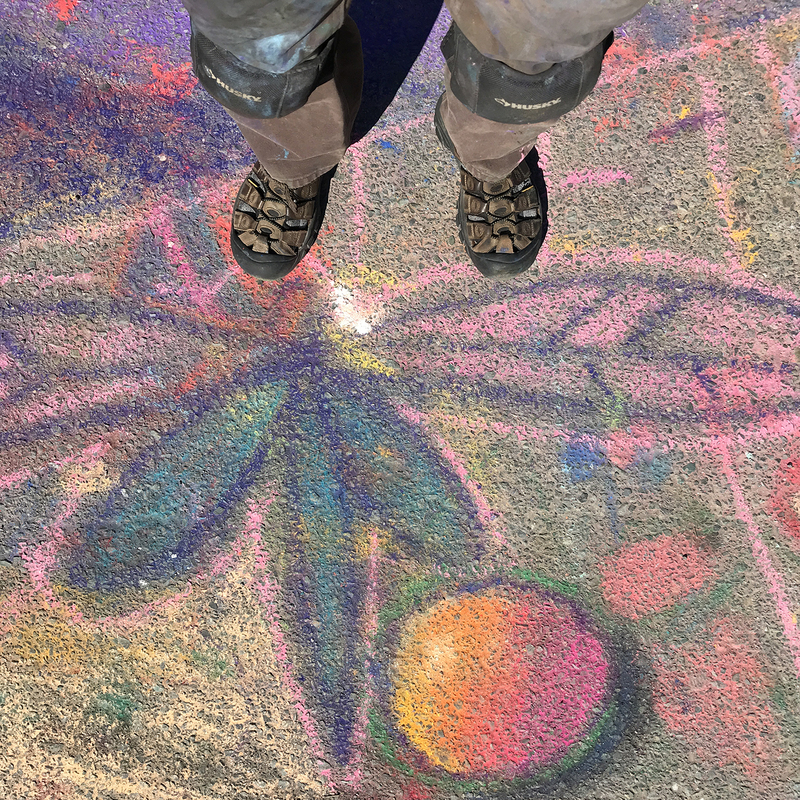 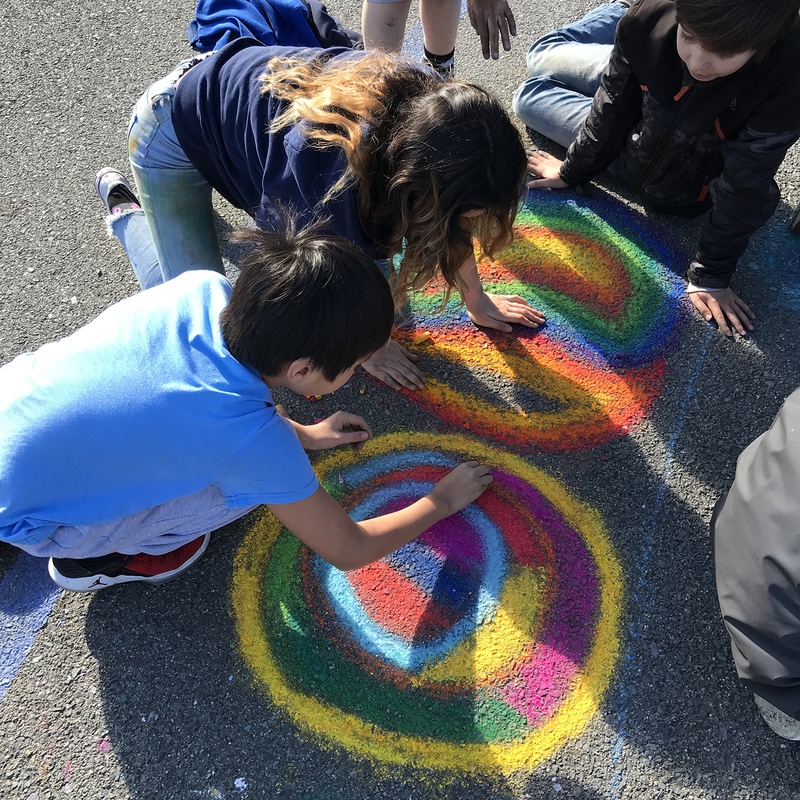 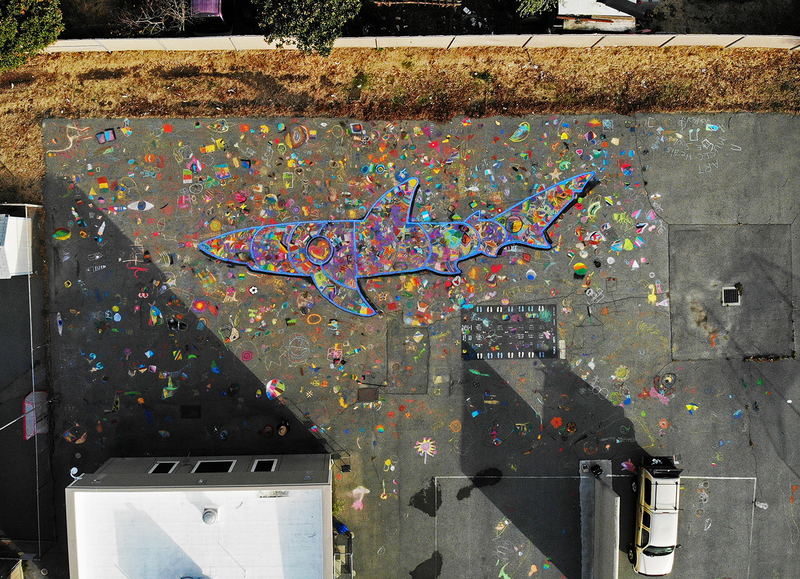 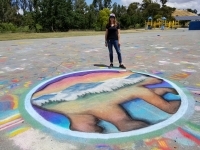 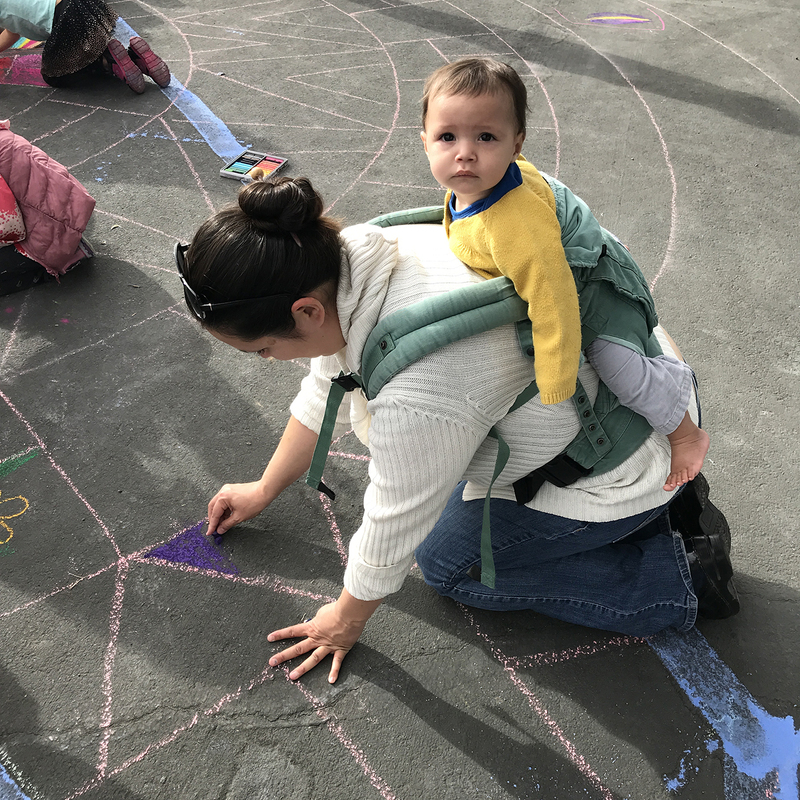 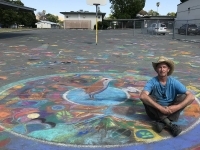 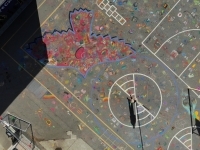 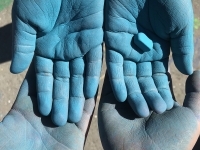 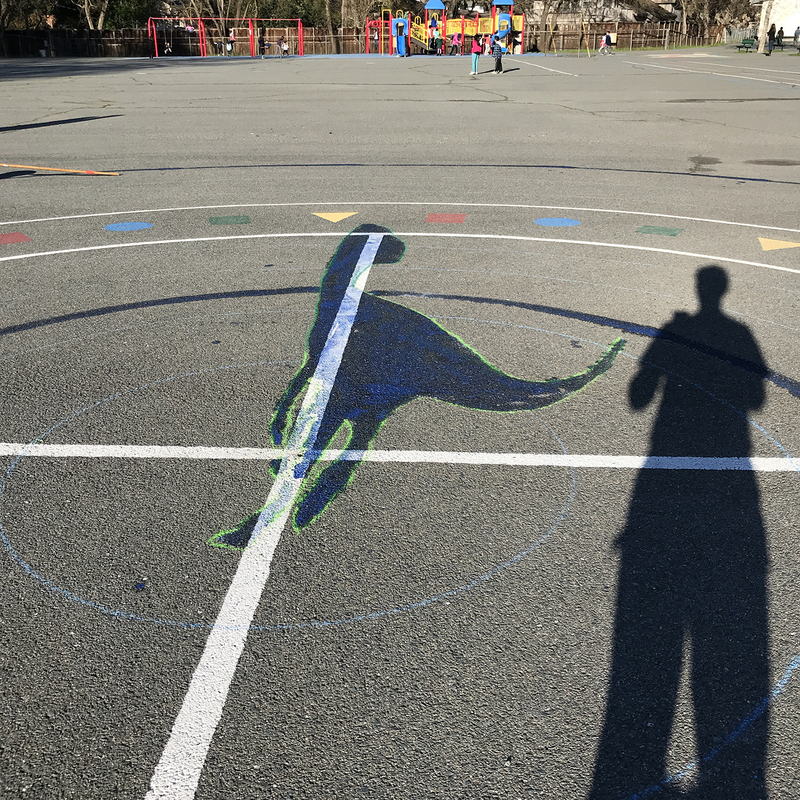 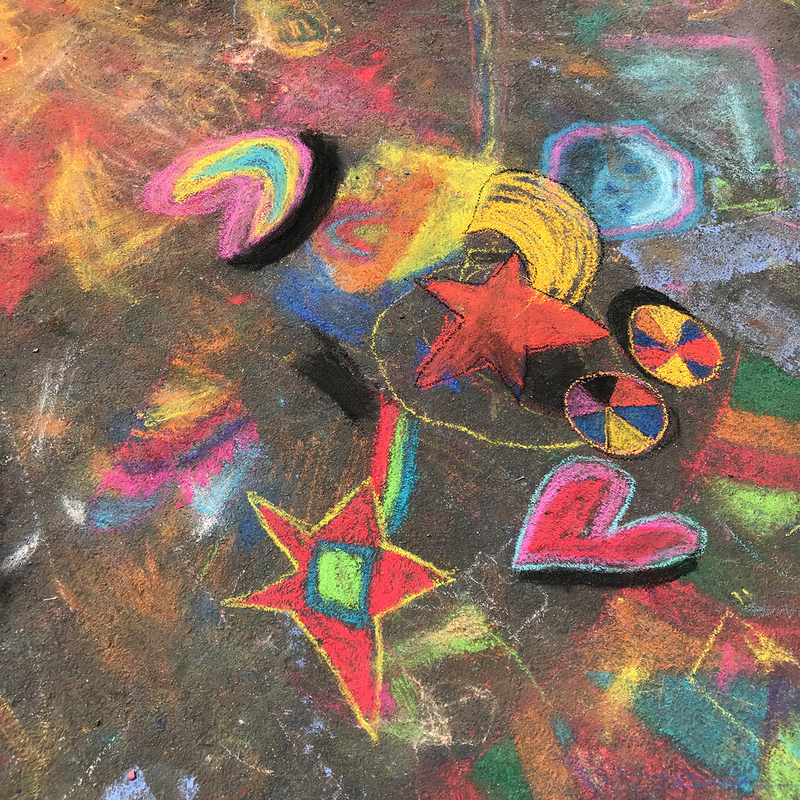 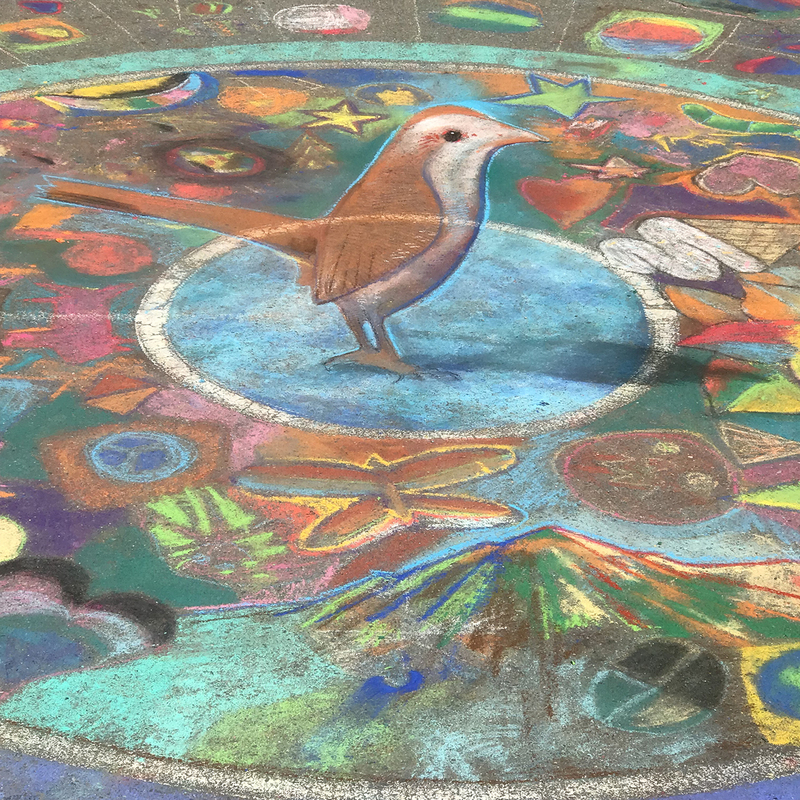 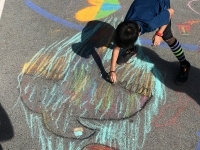 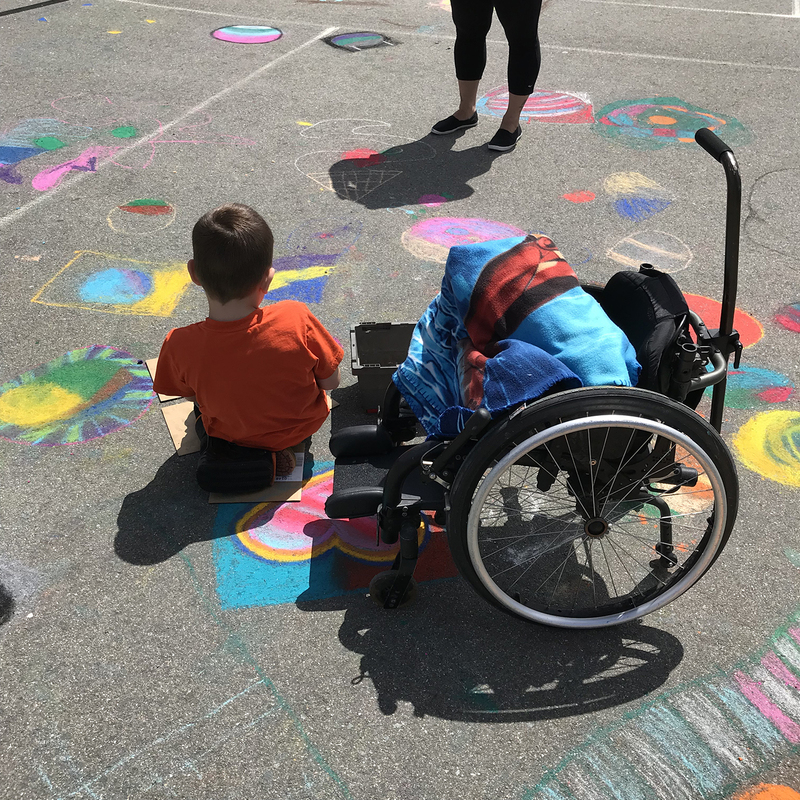 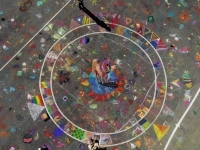 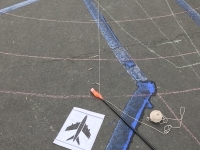 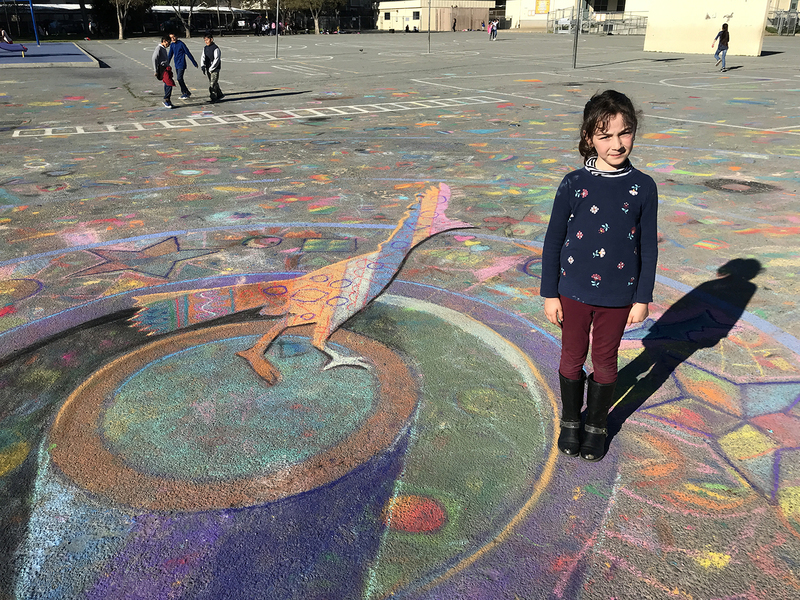 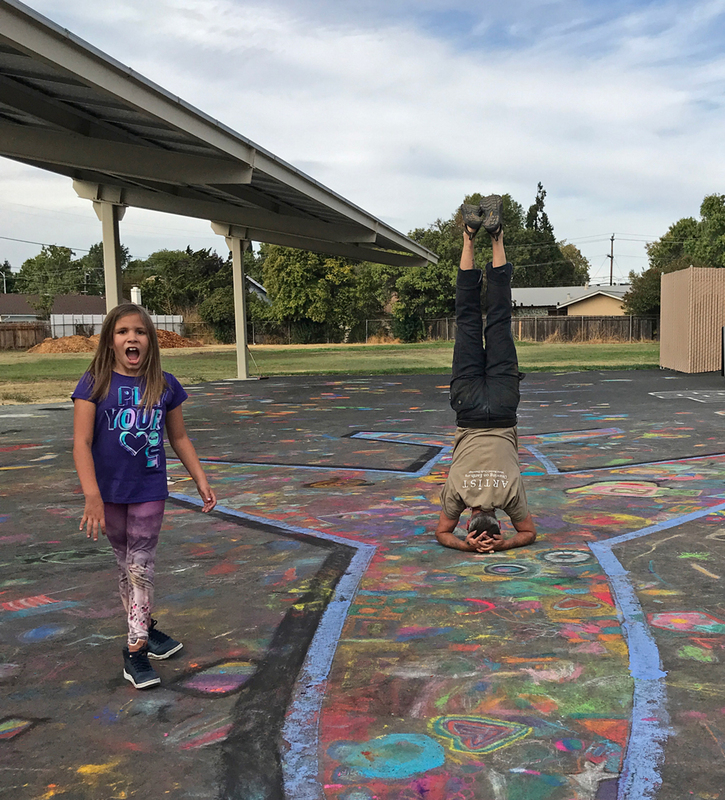 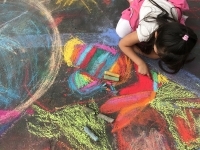 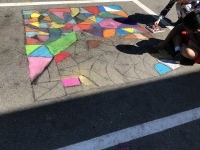 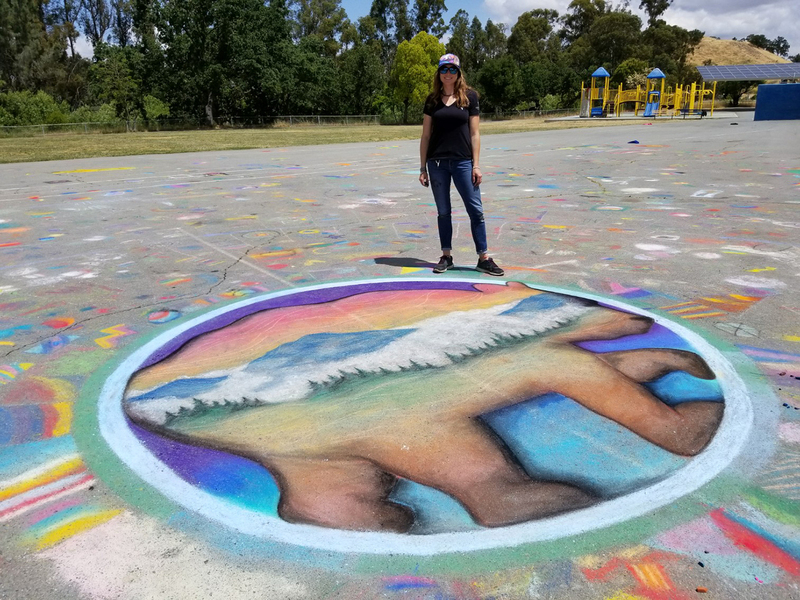 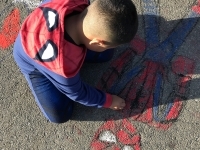 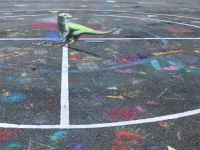 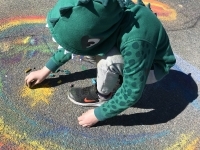 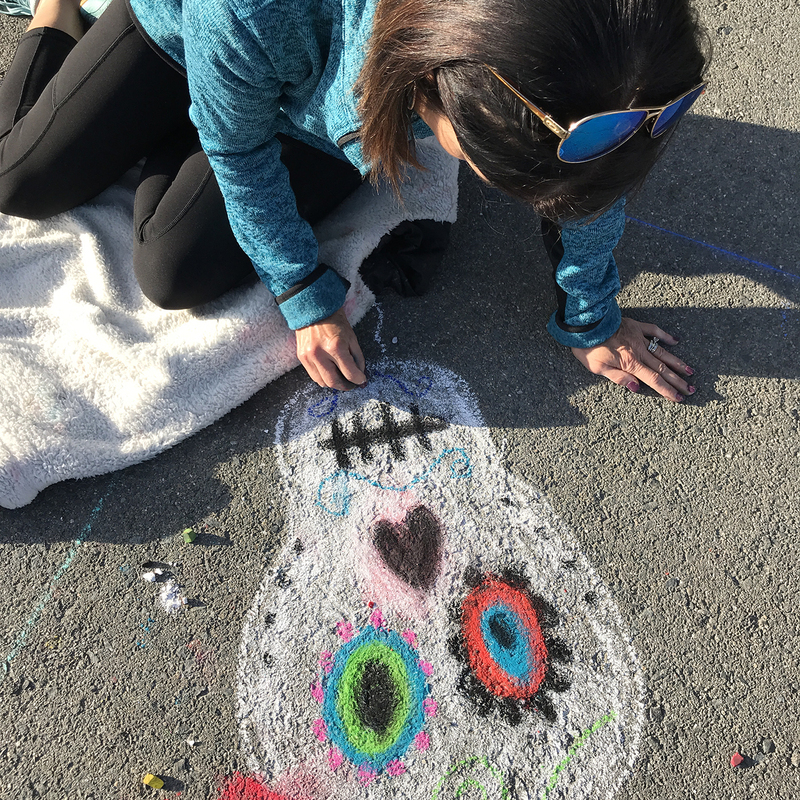 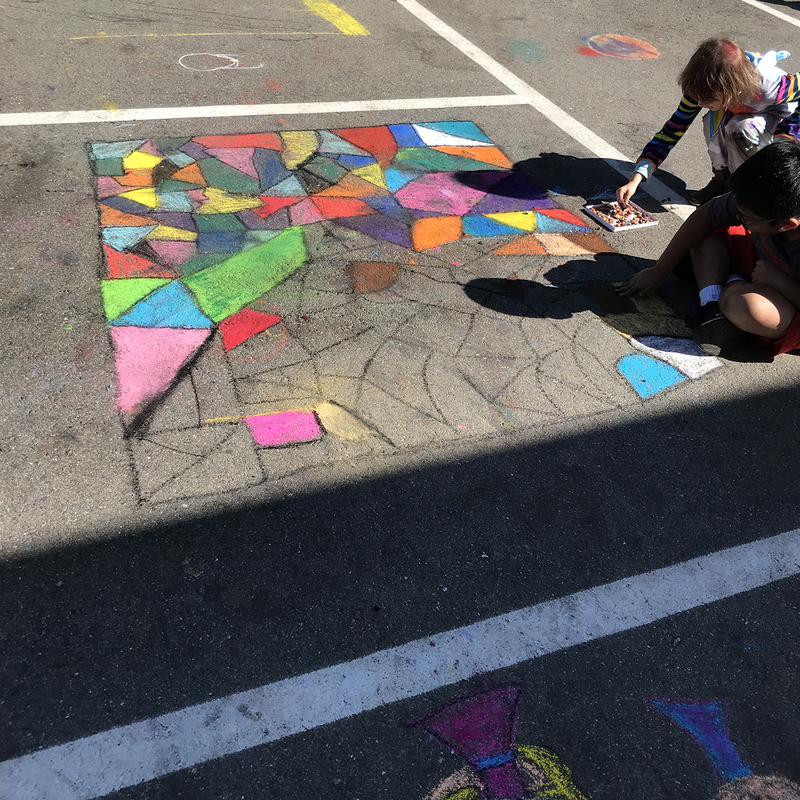 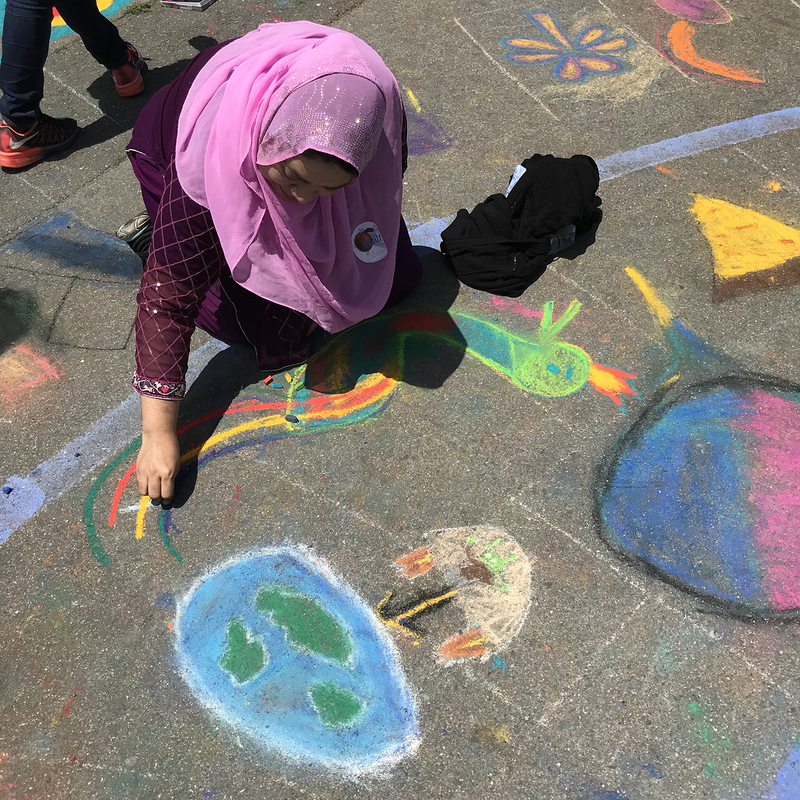 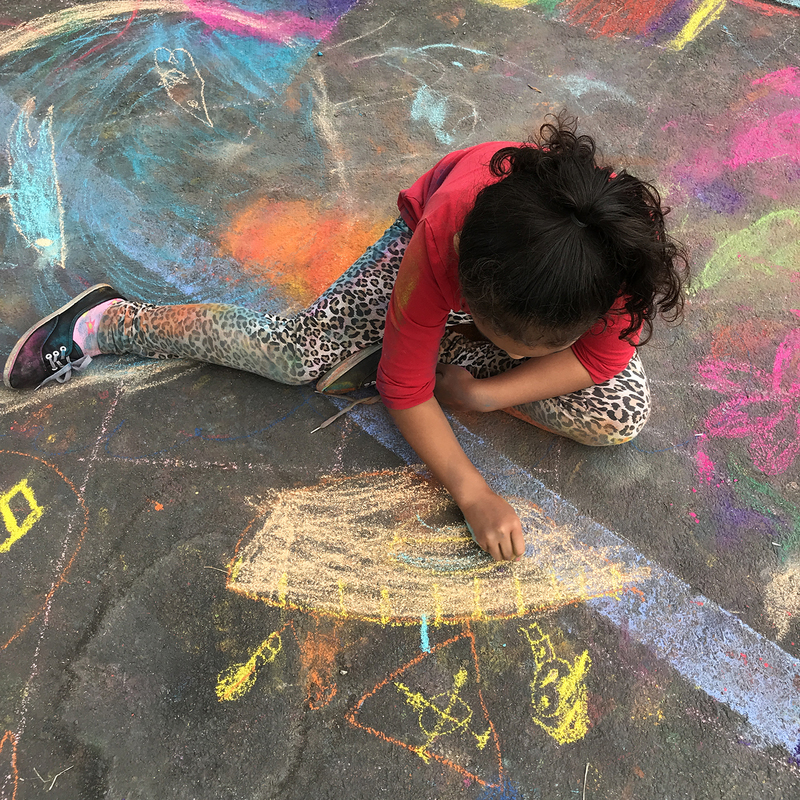 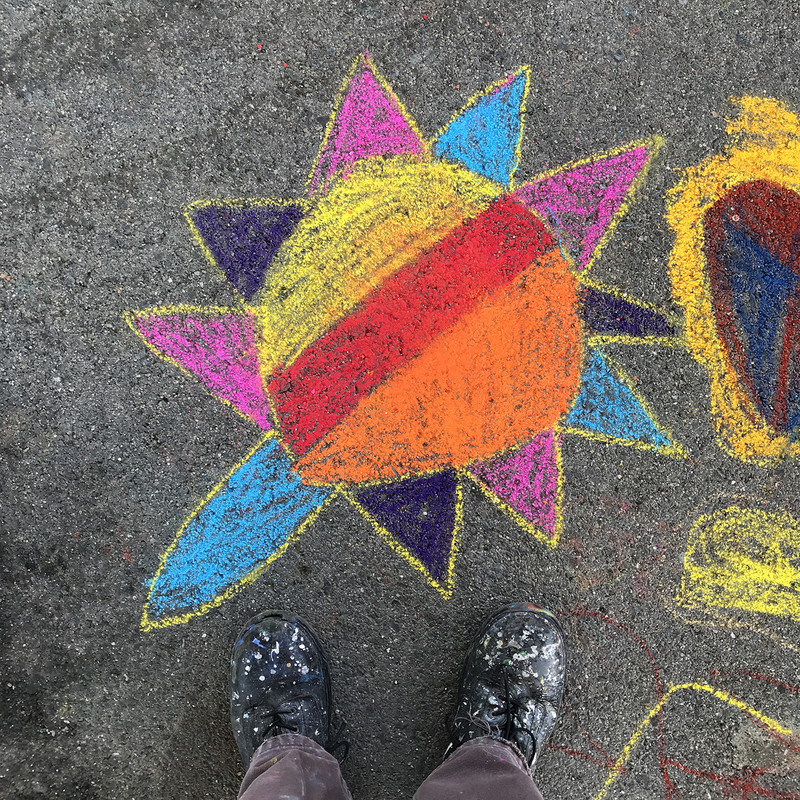 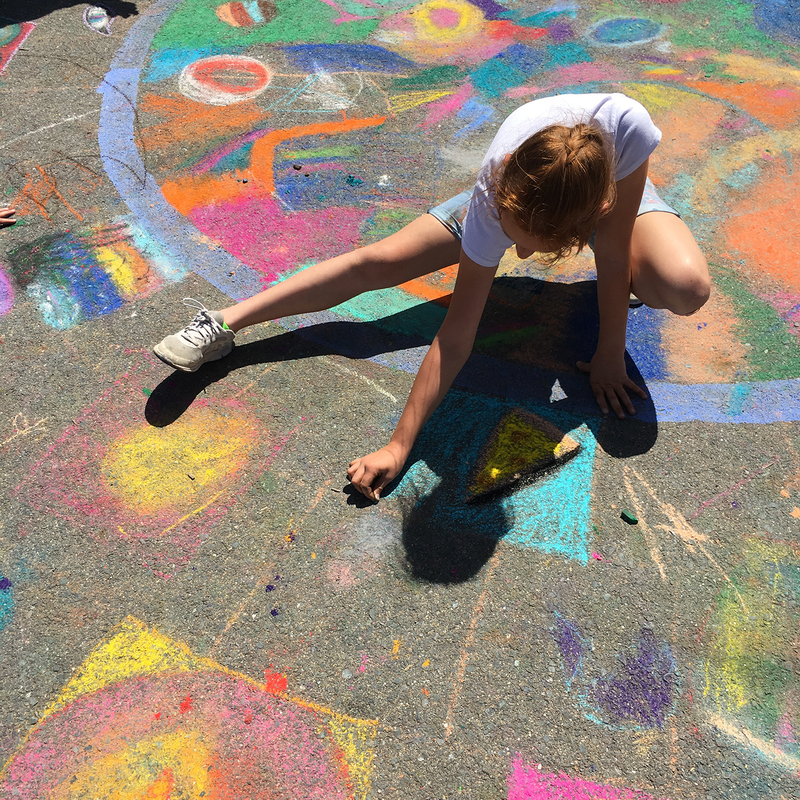 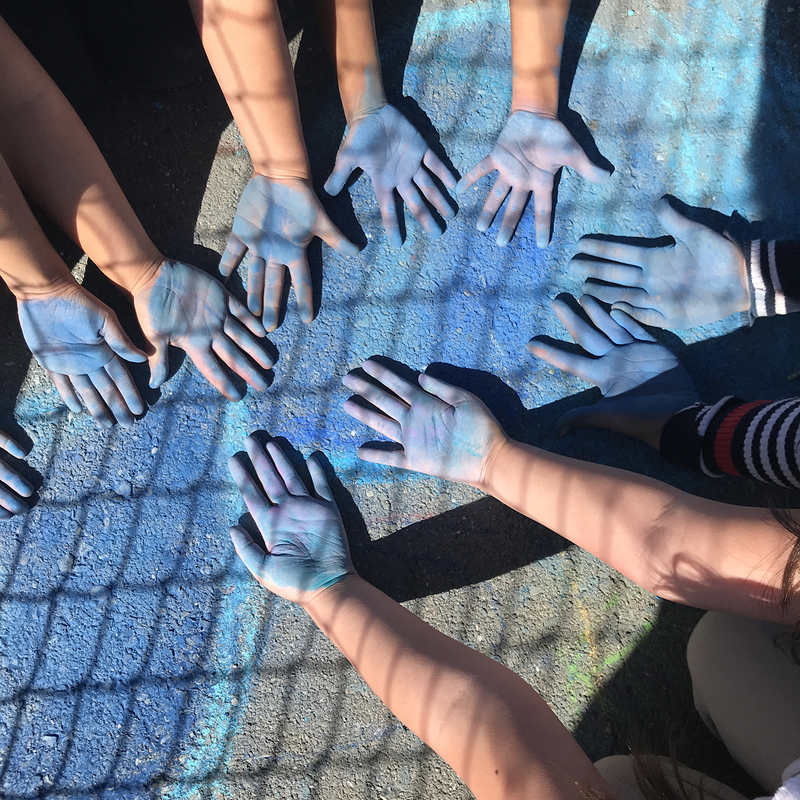 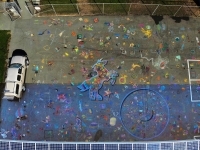 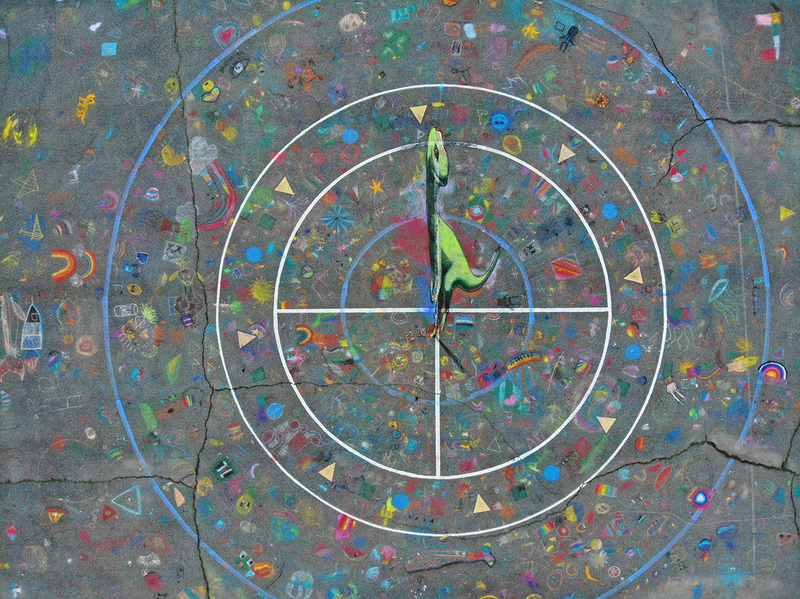 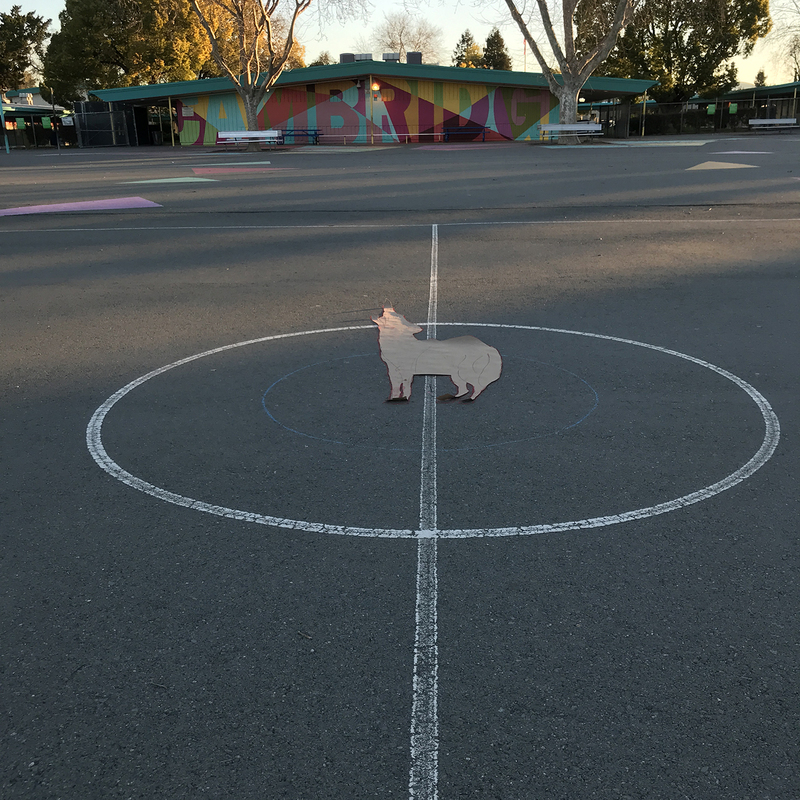 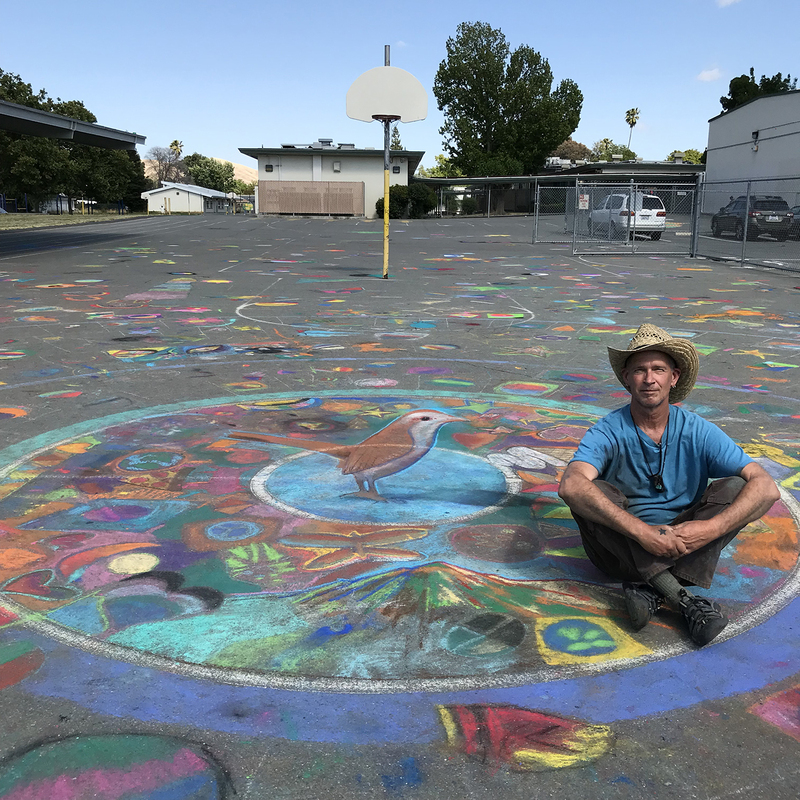 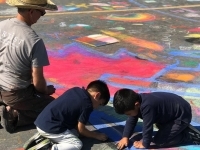 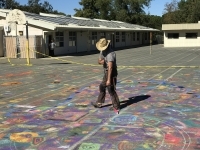 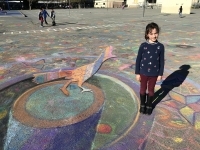 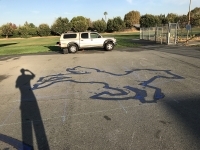 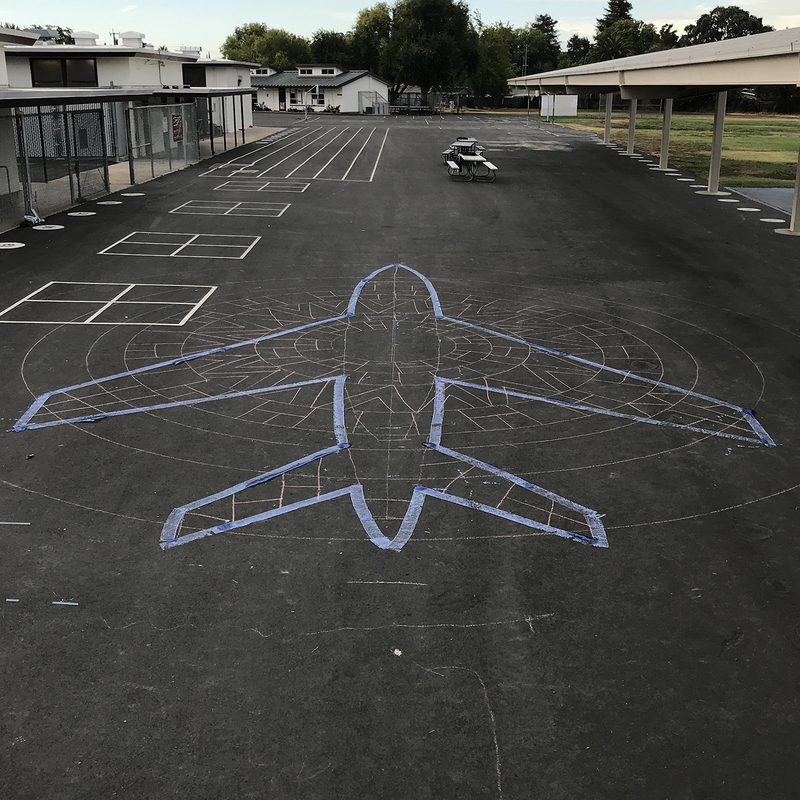 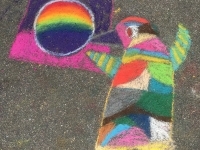 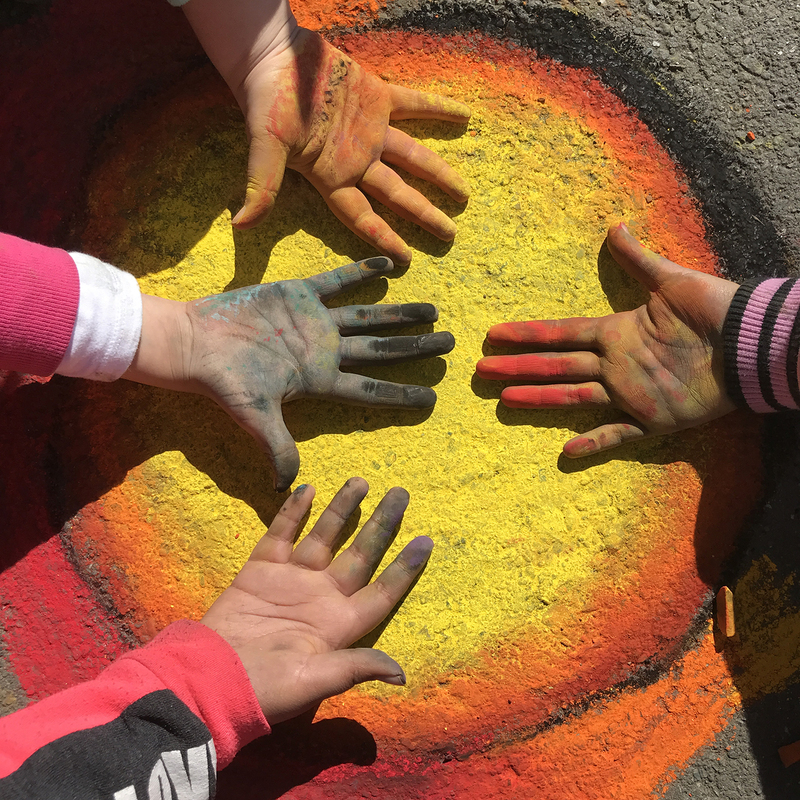 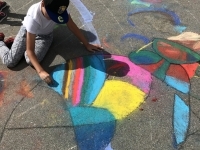 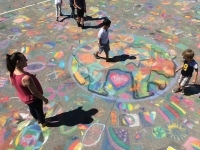 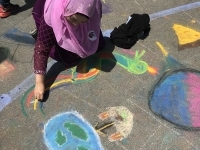 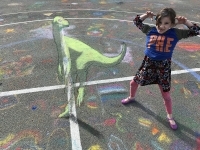 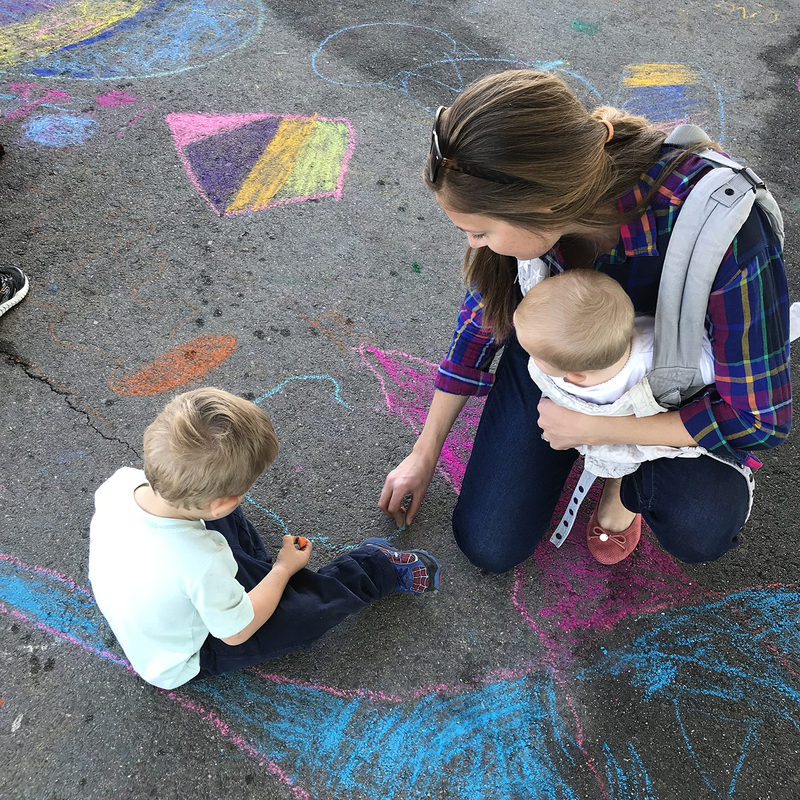 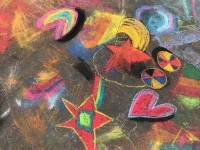 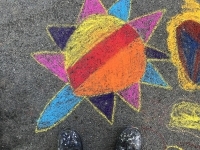 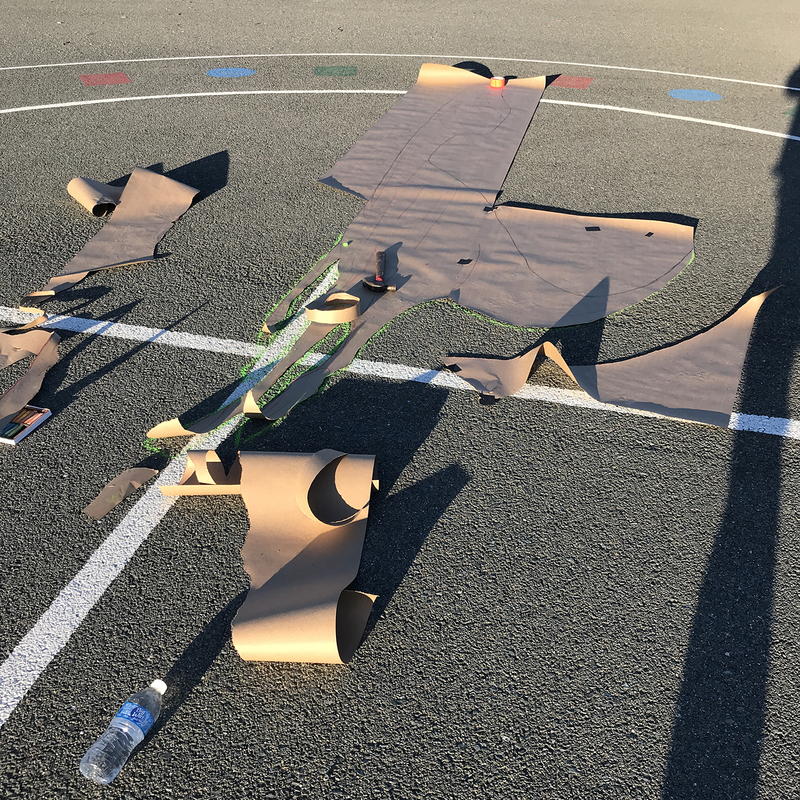 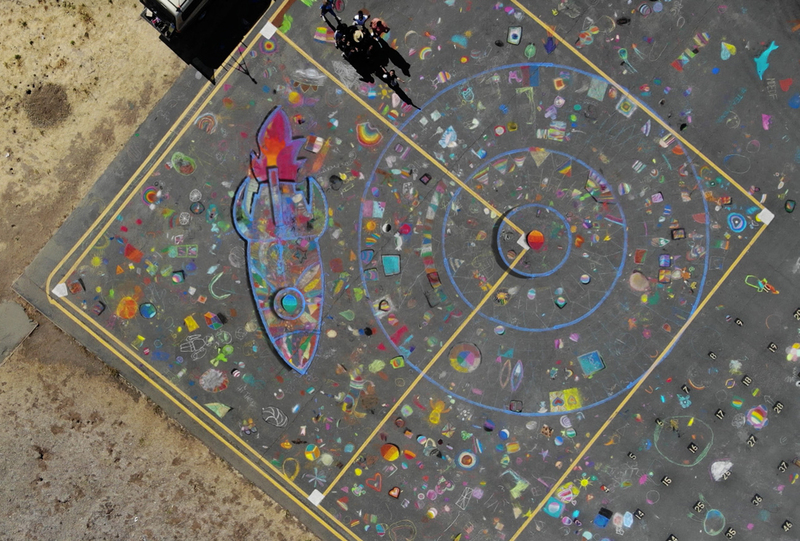 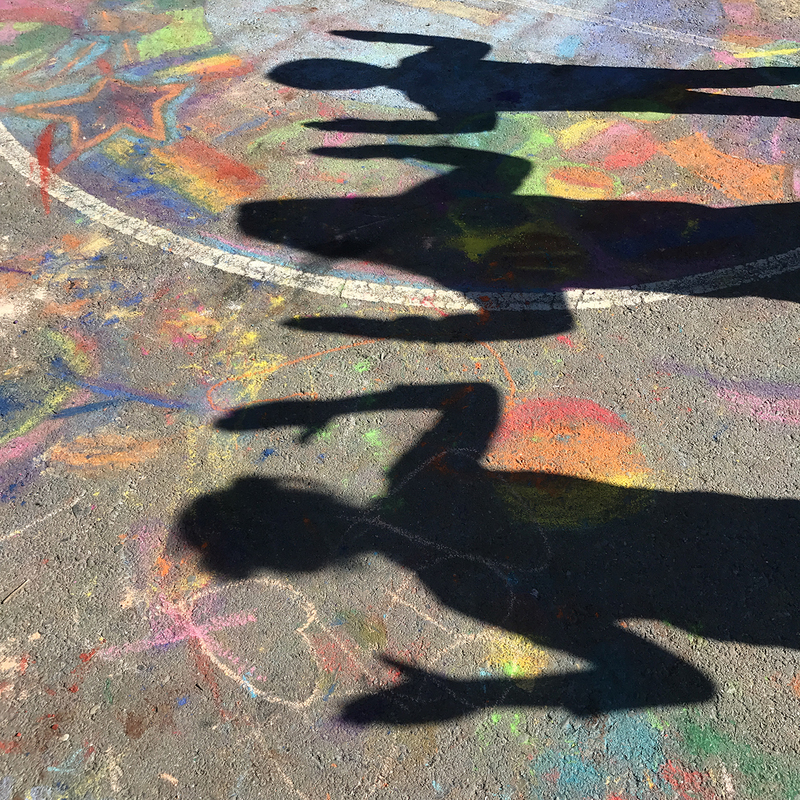 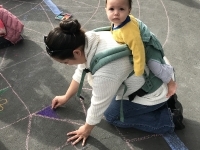 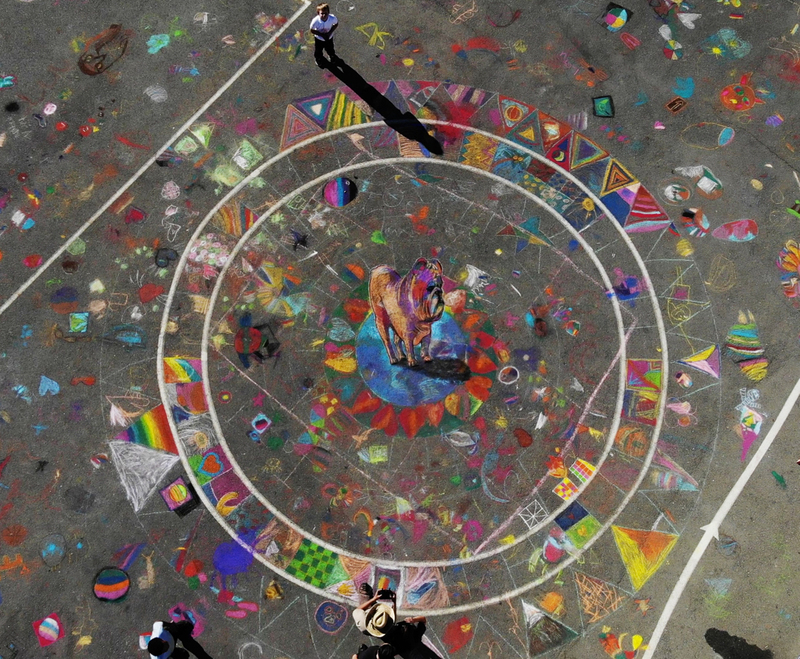 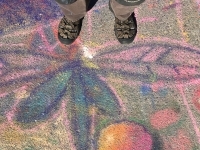 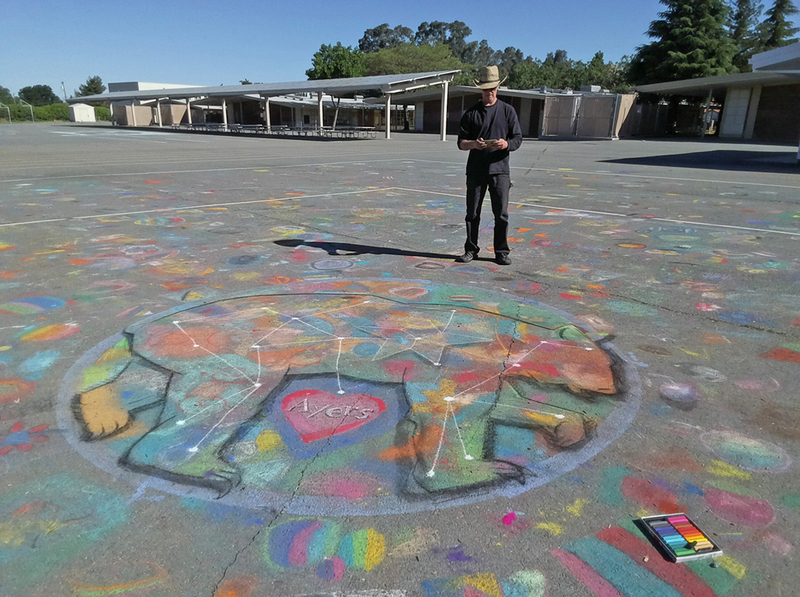 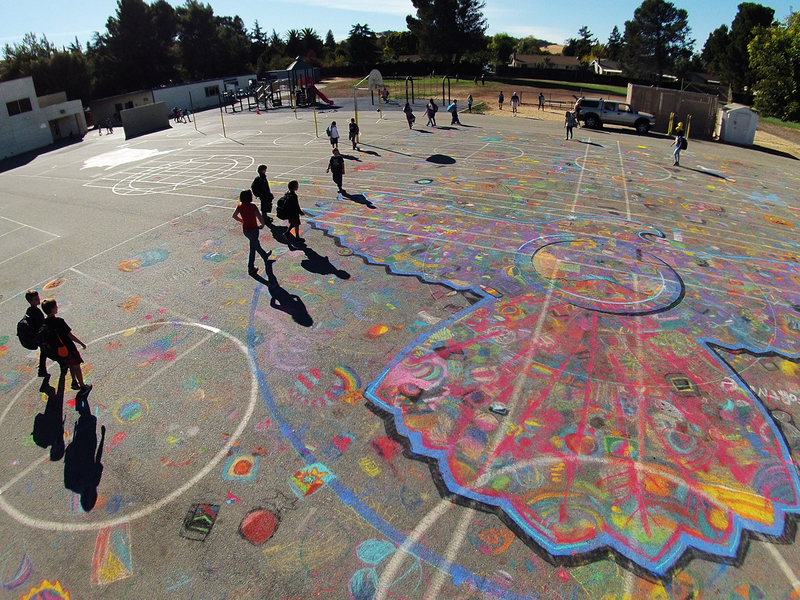 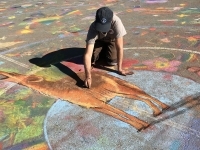 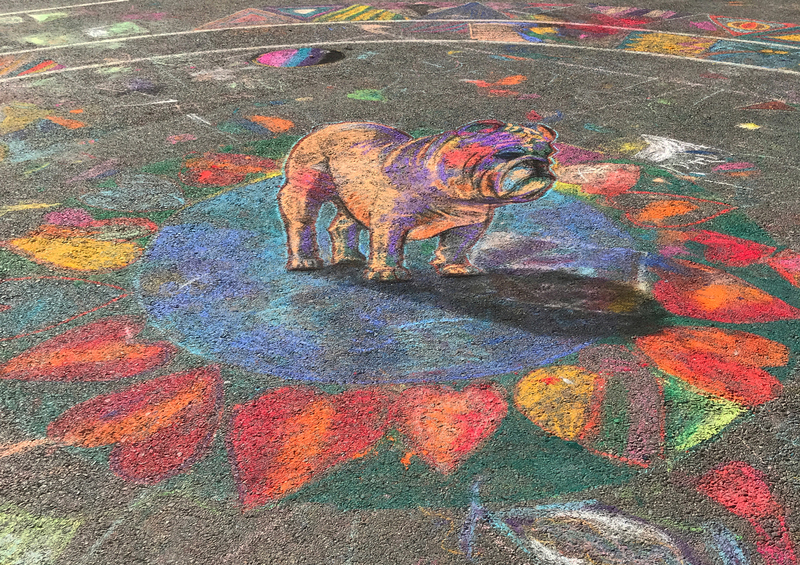 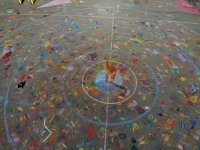 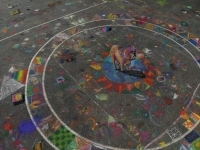 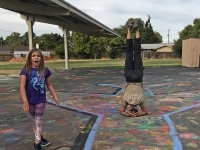 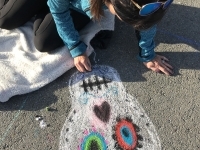 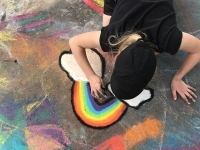 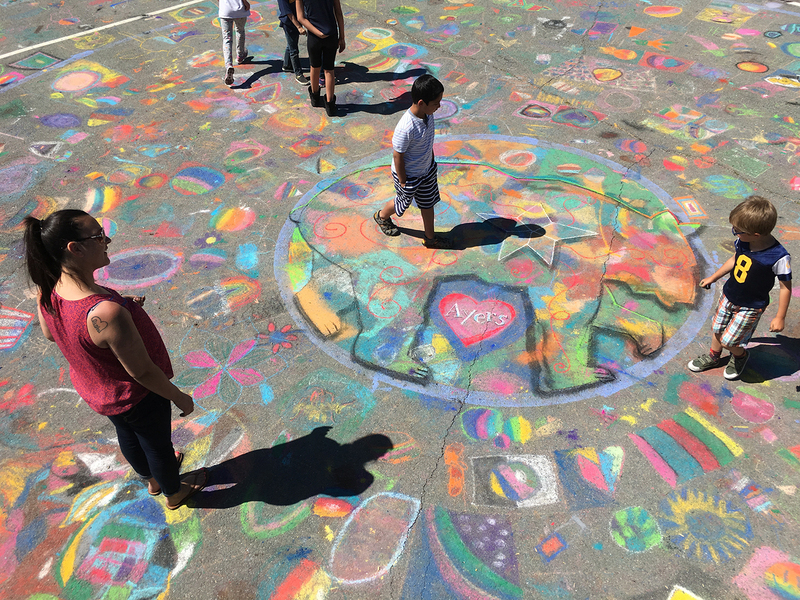 Diablo Unified School District Education Foundation to chalk draw on 30 elementary school playgrounds which involves 15,000 kids. 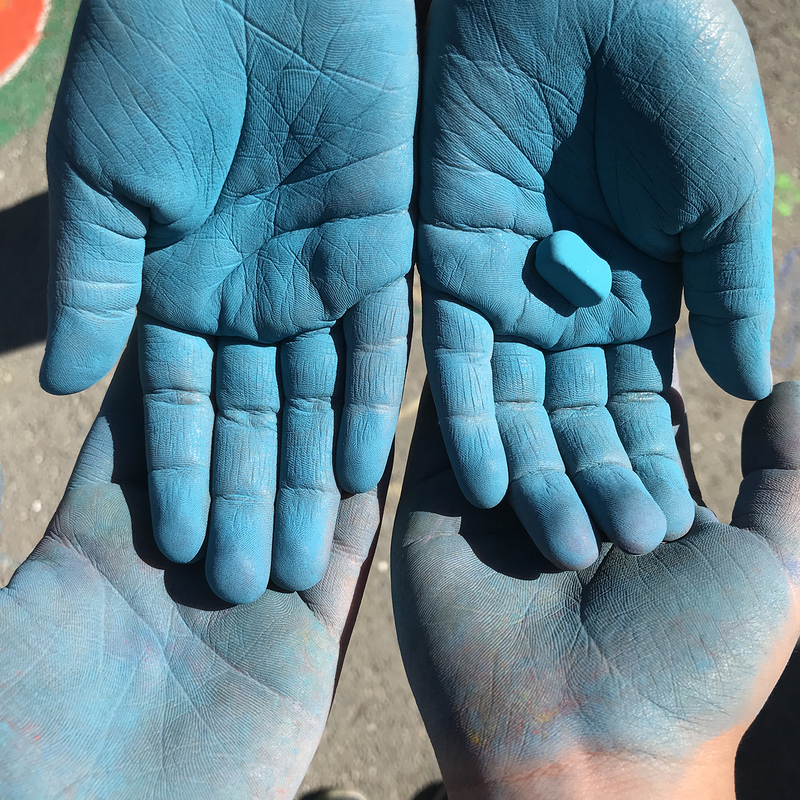 It’s a crazy awesome experience! 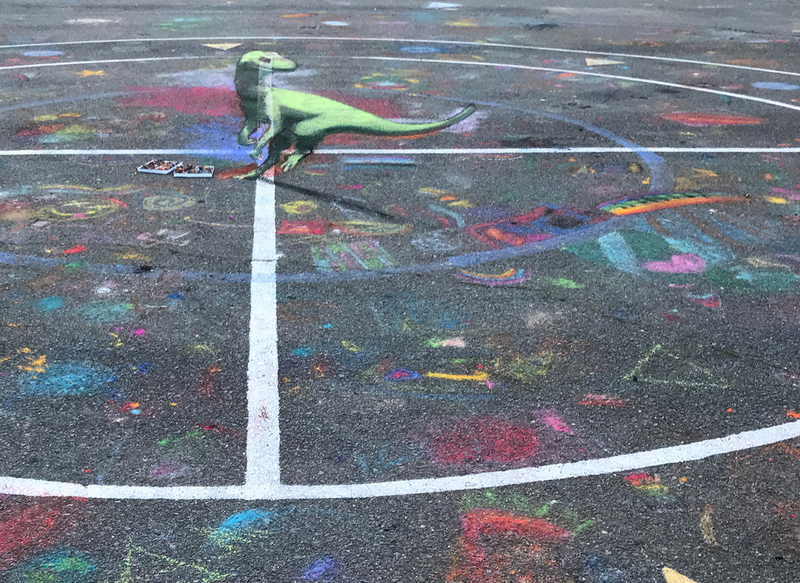 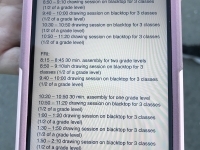 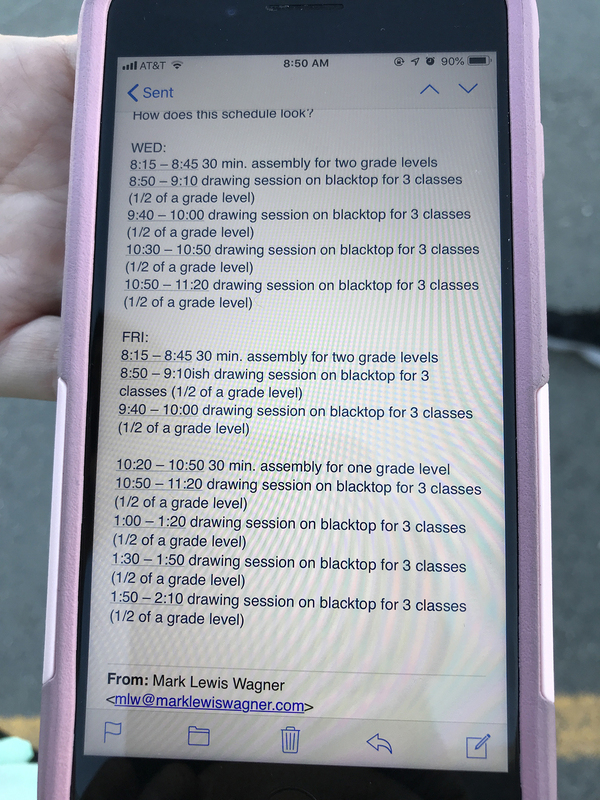 We have drawn at 13 schools so far, the last one being the largest in the district and the largest we have ever worked with 850 kids over 2 days. 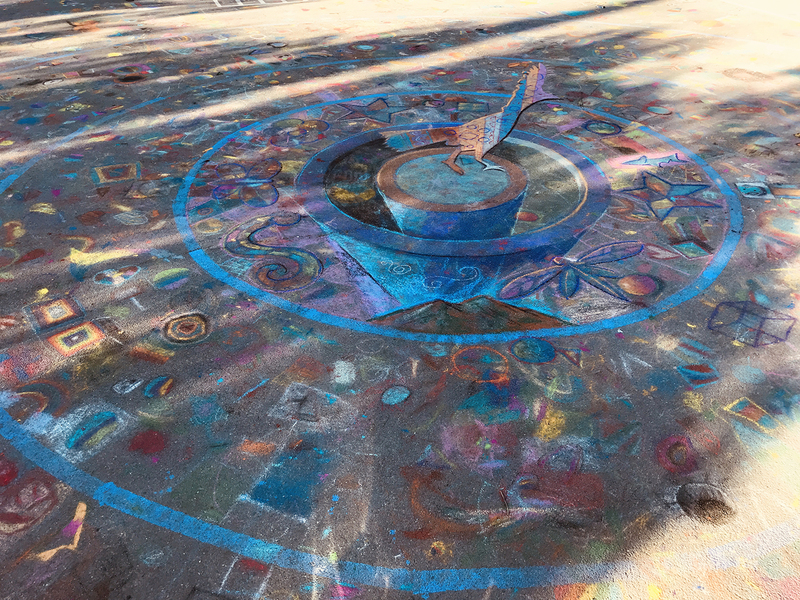 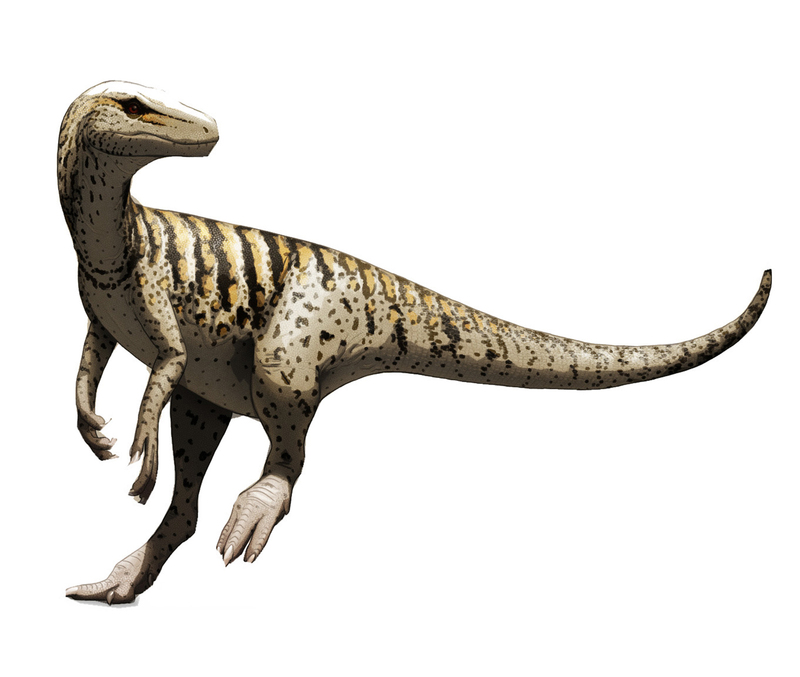 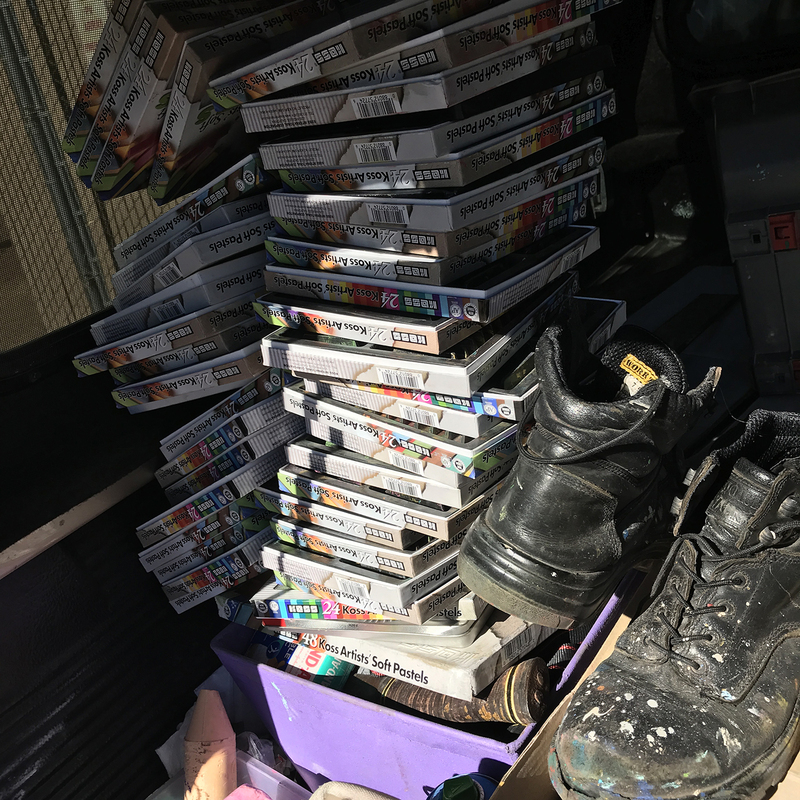 There is so much to share about this, for now we’ll just show some images. 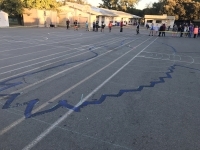 In the bigger picture we are weaving a story about a mountain (Mt. 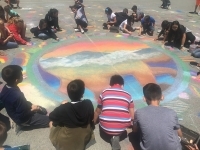 Diablo) having 15,000 kids who call the mountain home. 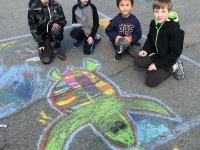 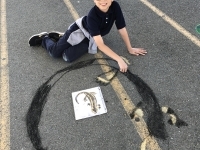 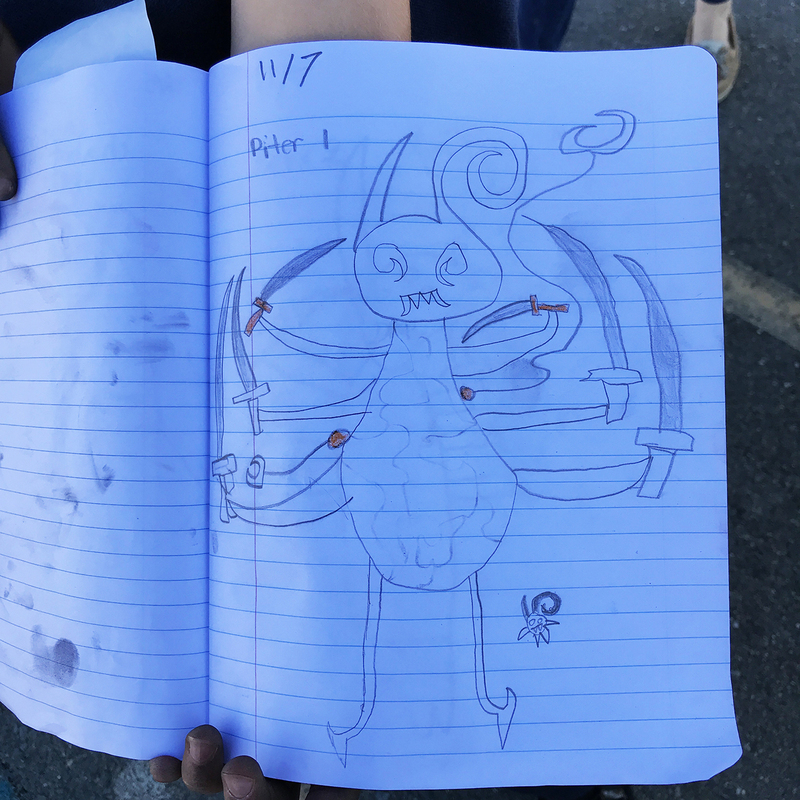 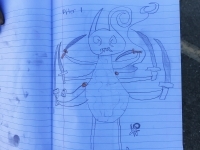 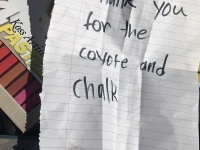 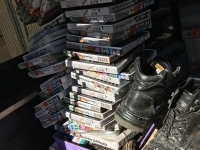 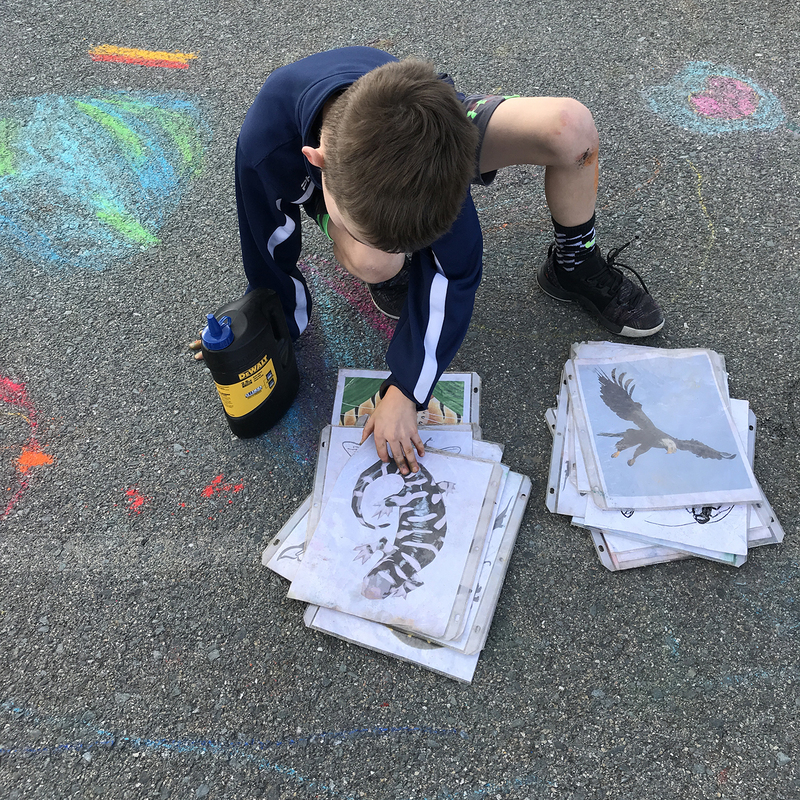 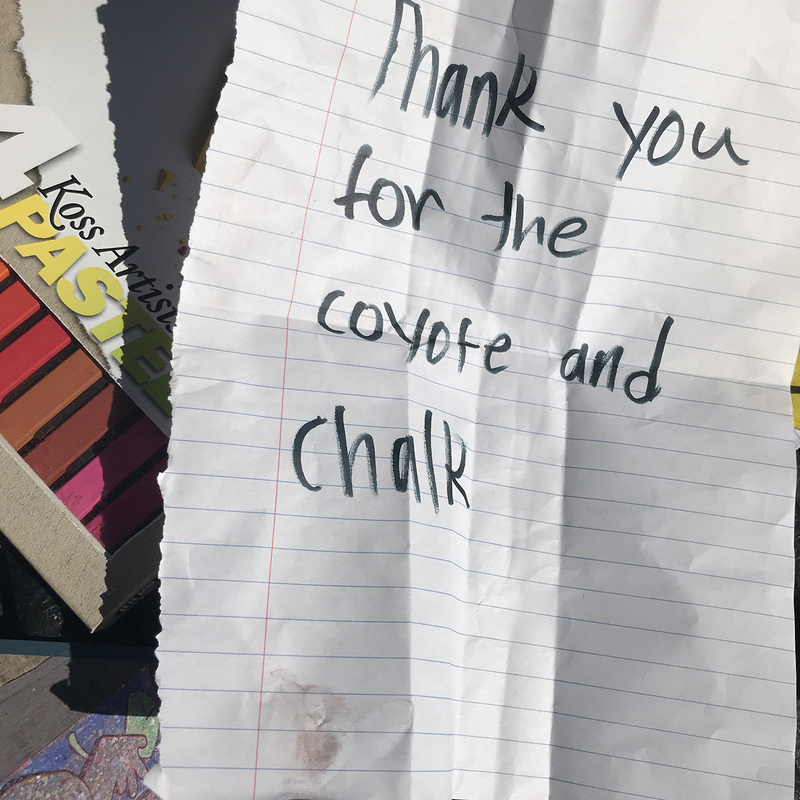 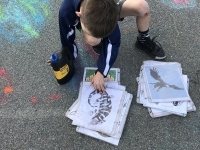 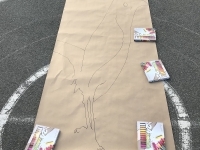 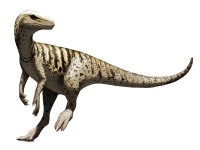 Each school we visit we draw their power animal (school mascot) and connect all the sharks, hawks, jets, coyotes, dinosaurs, bulldogs to the mountain. 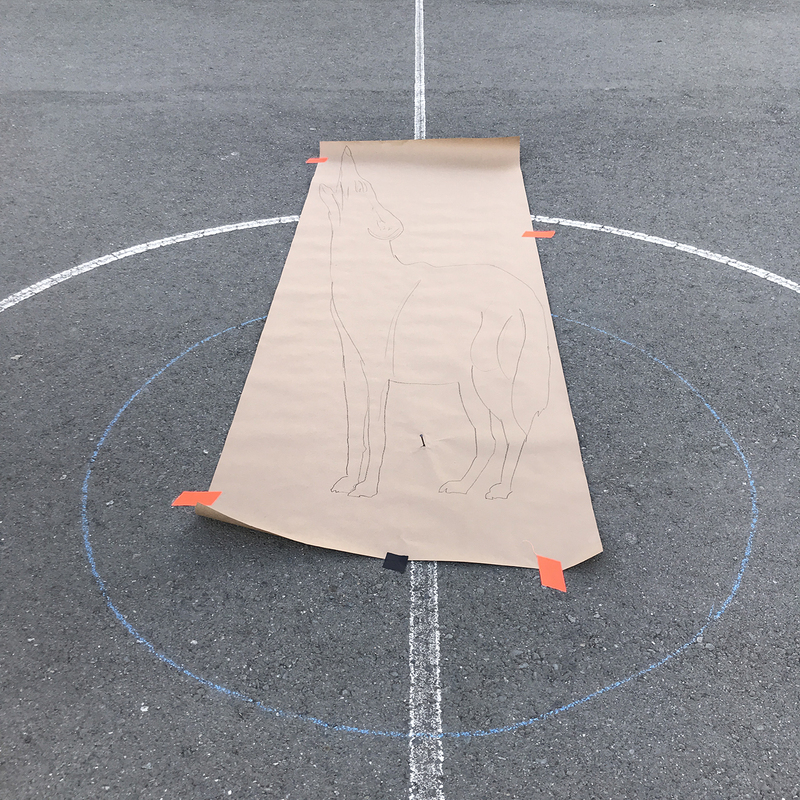 In the end over 30 animals and a few objects will have shown up curious to see what happens next. 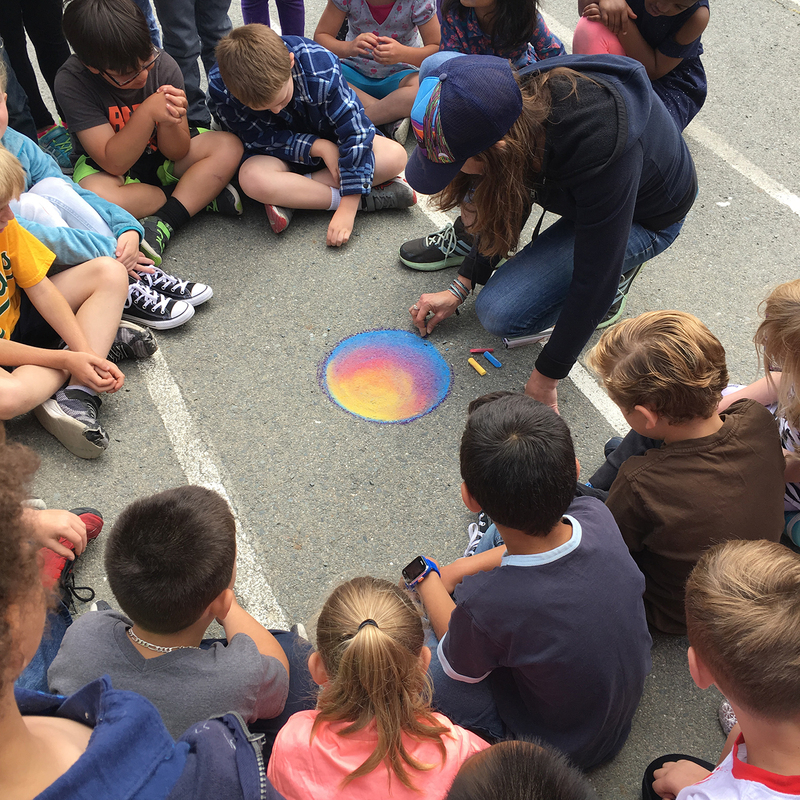 Interested in having us to to your school, museum, or country?